A peacock can be kept as a pet, but don't expect it to fetch your slippers. This beautiful bird is often chosen because of its ornamental feathers but comes with special requirements that may not be for everyone. 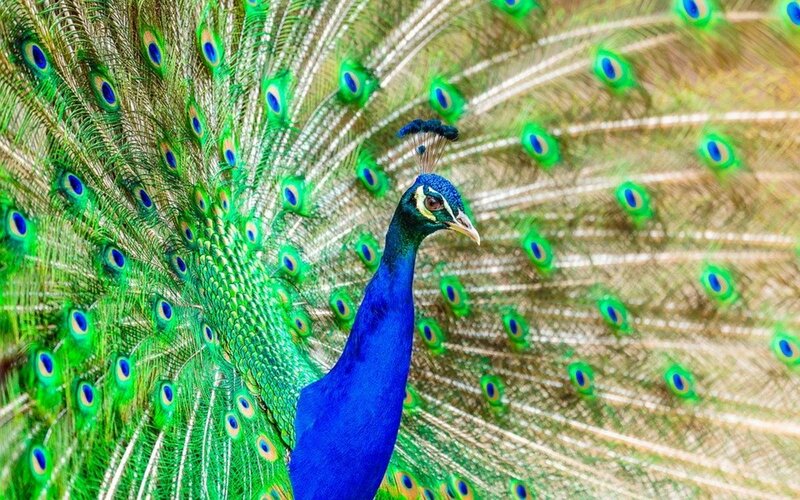 However, when properly kept, a peacock is an unmatched delight. Am I Allowed to Keep a Pet Peacock? 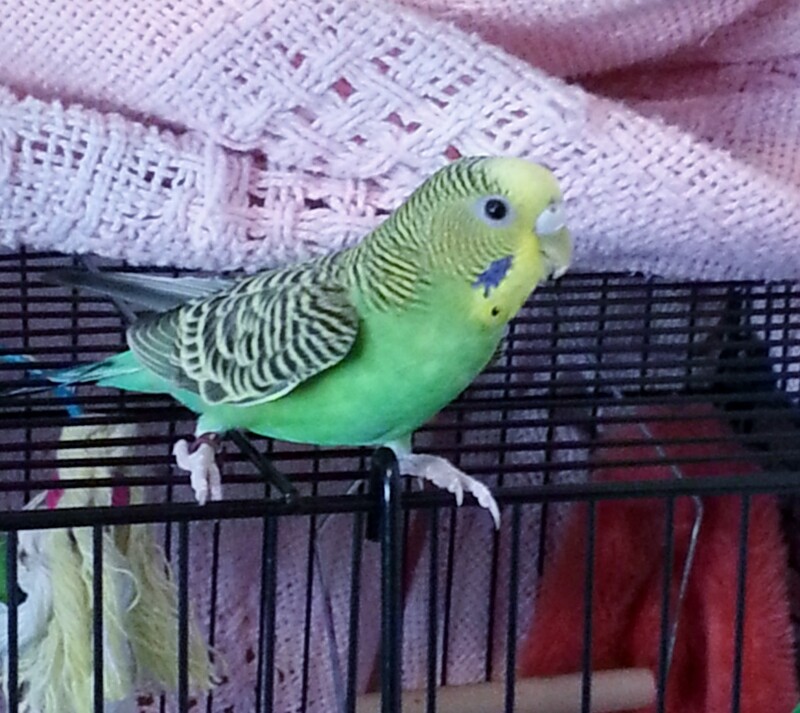 Parakeet means "little parot." They originally came from Australia. 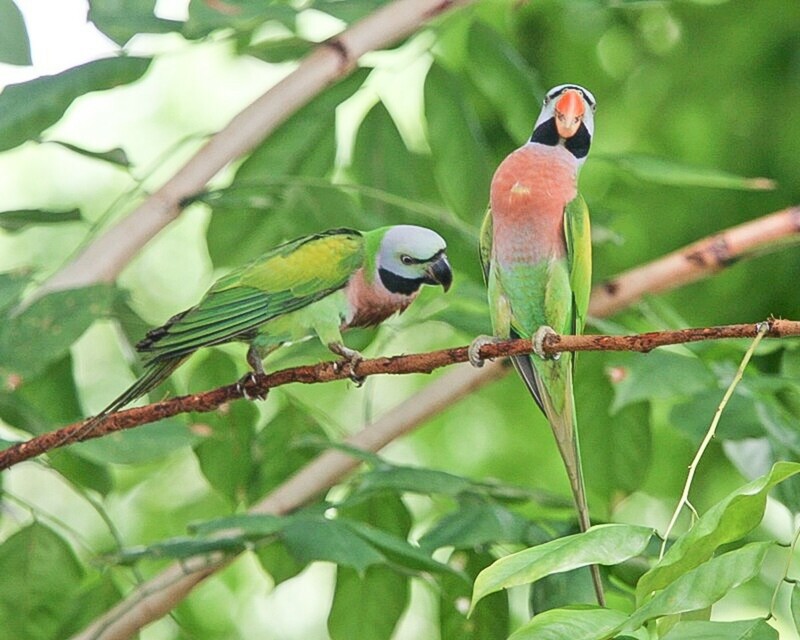 At first, parakeets were basically one color—a drab, dark green. 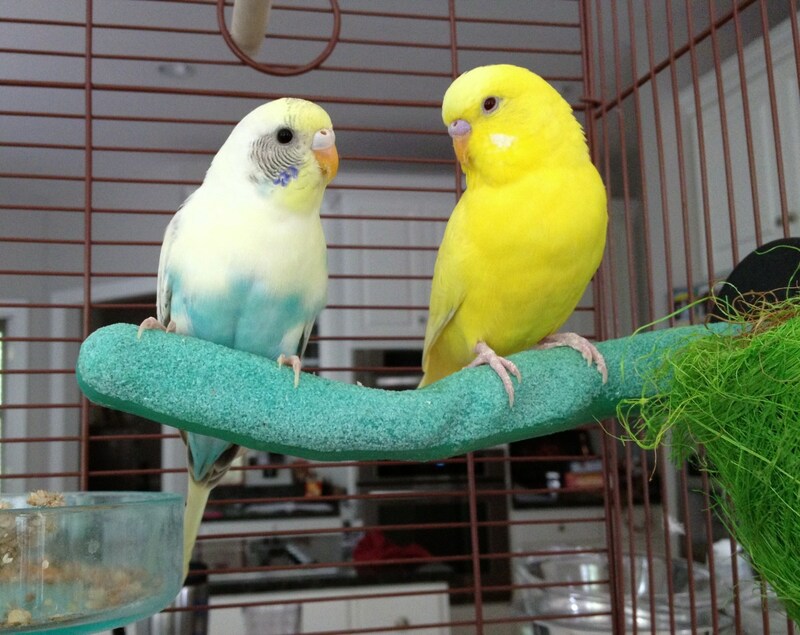 But with careful breeding, parakeets are available in all sorts of colors. 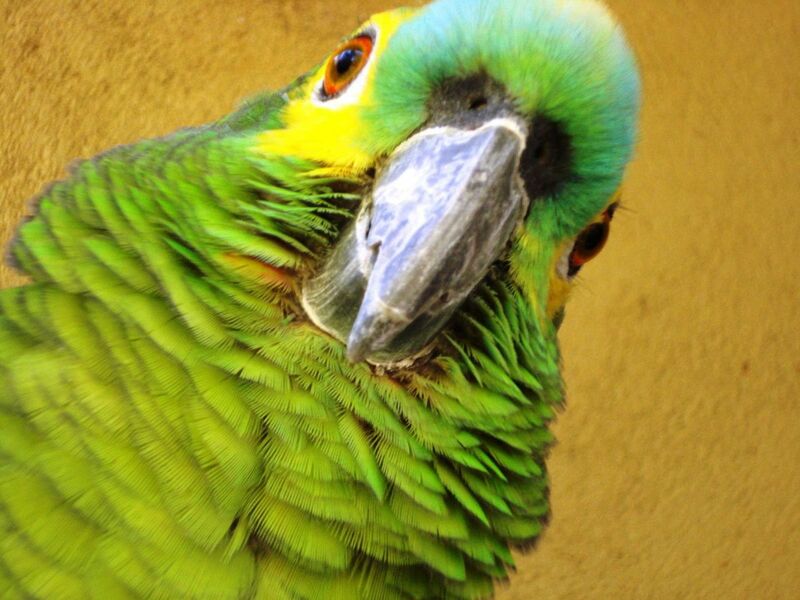 The best names for a tropical bird, straight from the parrot´s mouth. If you are not making progress with picking an appropriate name for your lovebird, chances are you have run out of ideas. Do not get anxious, this article shows you how to get creative with names and offers a diverse list of names for your beloved winged ones. 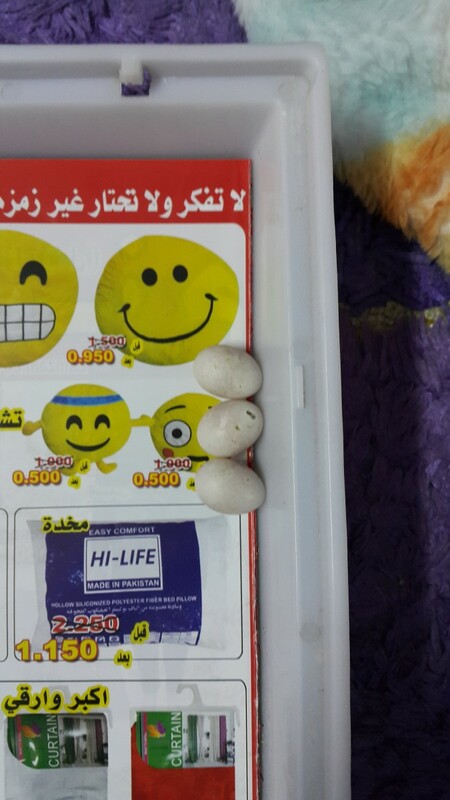 A guide on how you can tell the gender of your budgie, with helpful pictures. 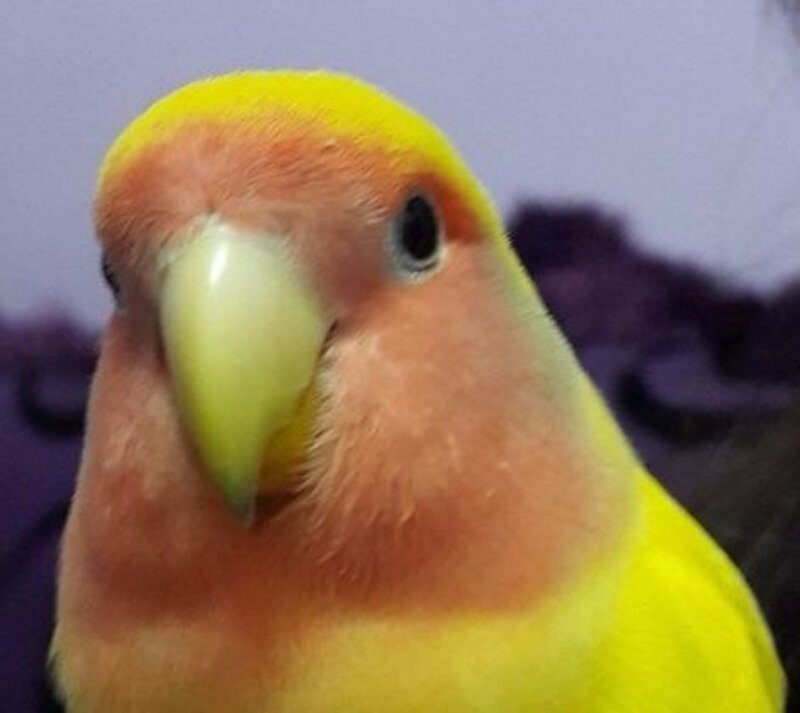 Is My Budgie A Boy Or A Girl? 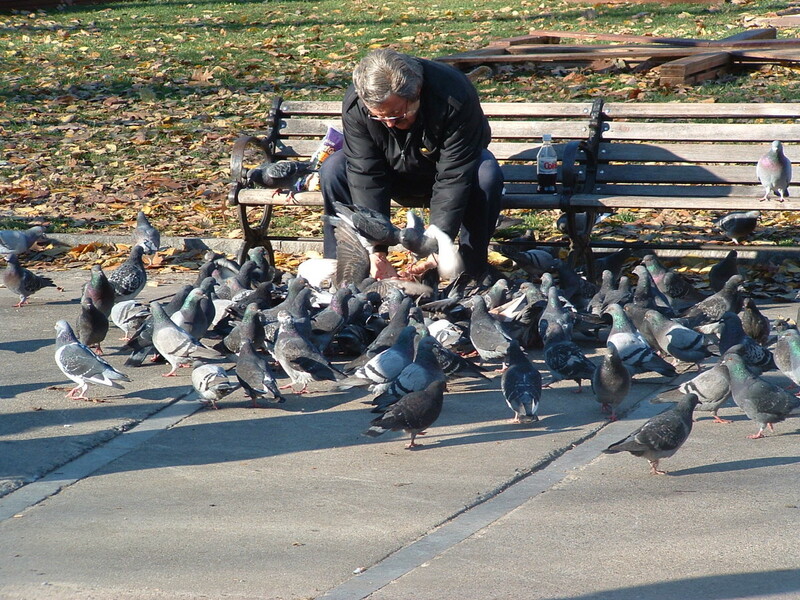 Colourful birds have always attracted humans . 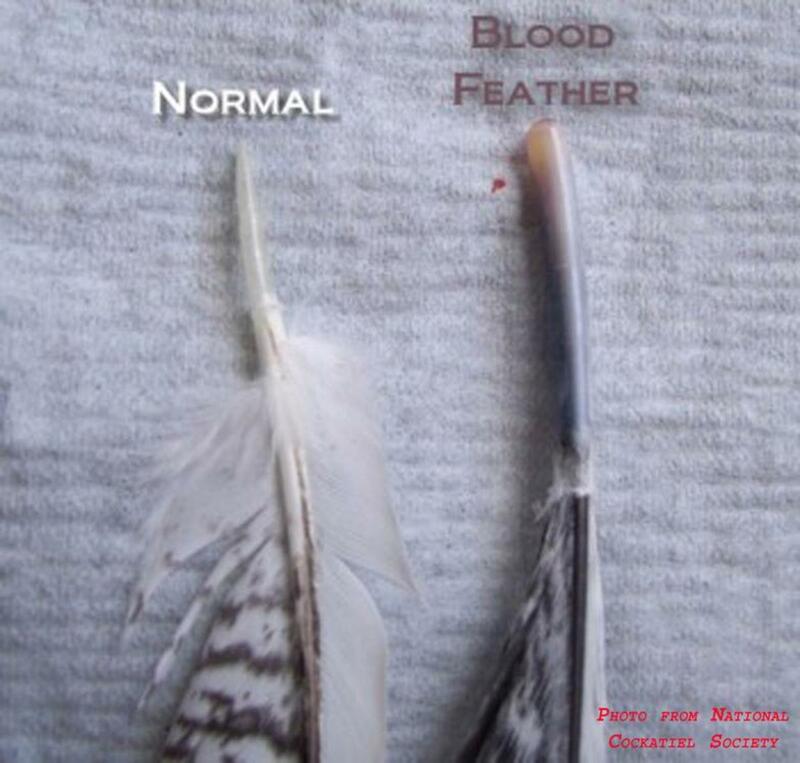 Their shapes and colours of feathers, beaks and other parts fascinate us. We take pleasure in keeping some of them as pets or write poetry about them. These pretty birds are as personable as puppies, as noisy as kindergarteners, as quirky as asylum inhabitants, and as lovable as can be. 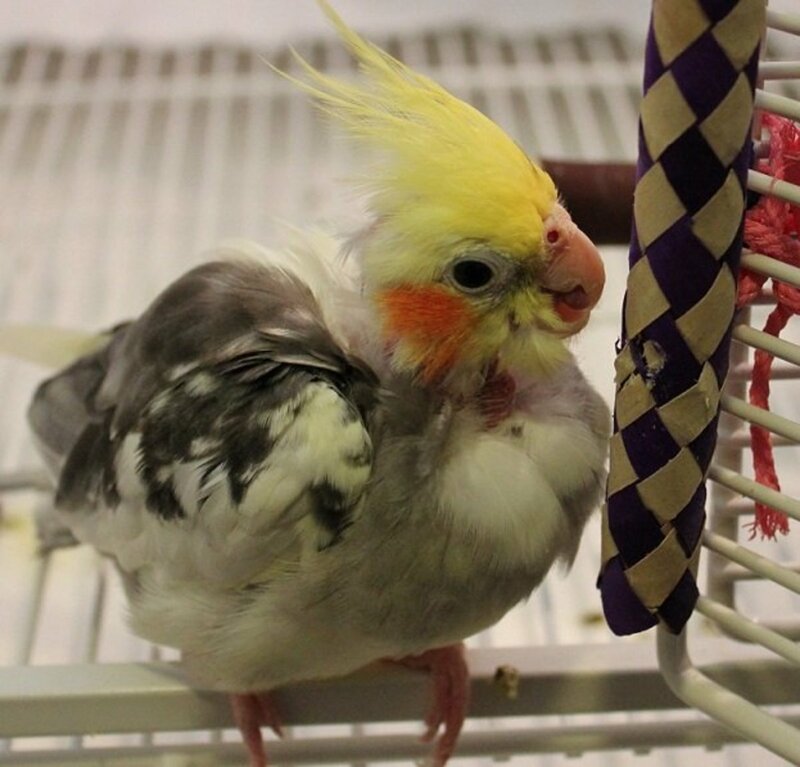 Explore the fun and funny ways of cockatiels as pets here! 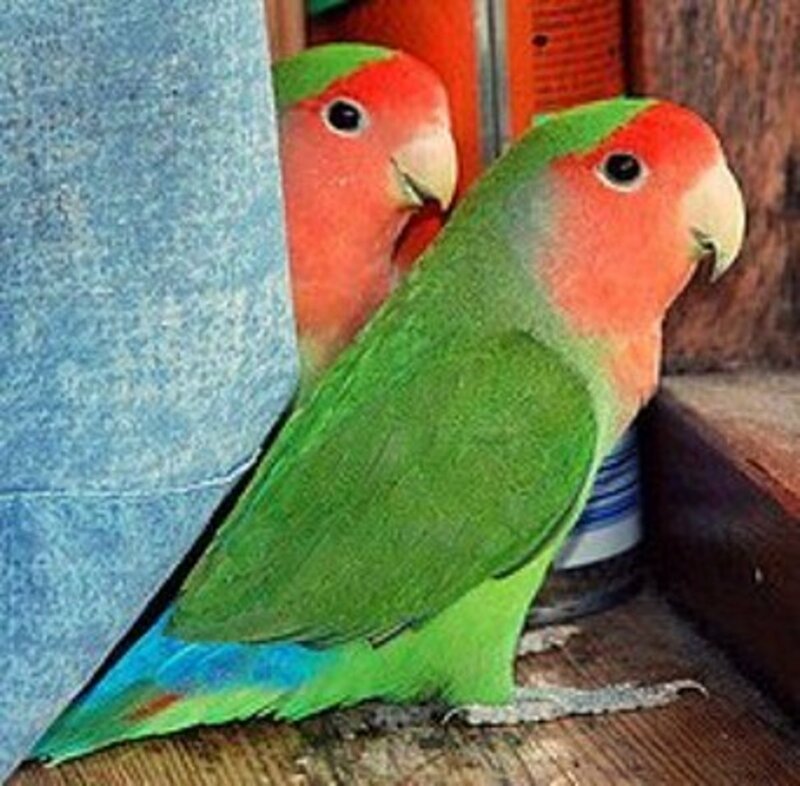 Lovebirds are a really a small parrot. 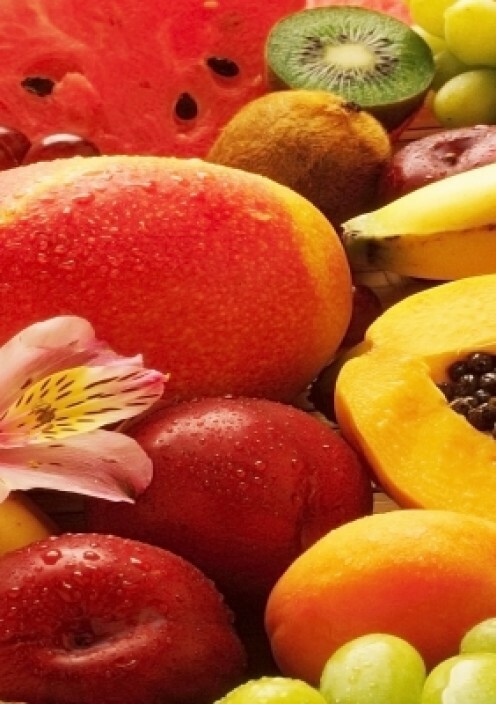 They are friendly, have great personalities and love being in close contact with people. 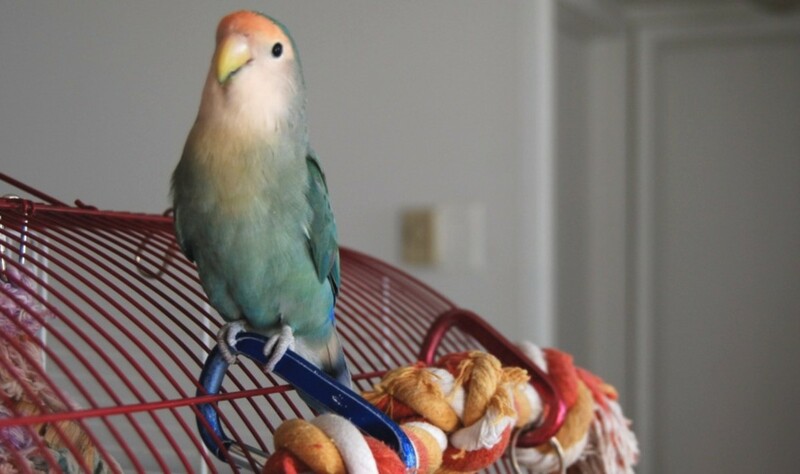 Read this article to see if a lovebird is the pet for you. Moustache parakeets are intelligent and playful birds. 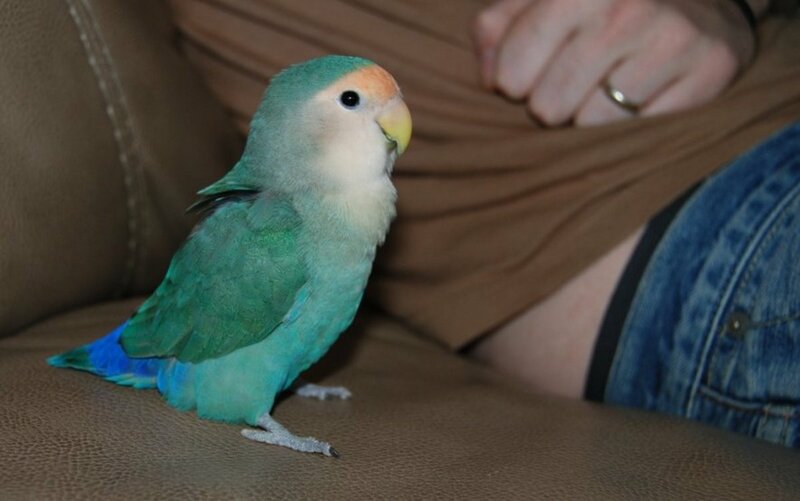 A hand reared moustache parakeet bought when it's young and given lots of attention can be a great pet. 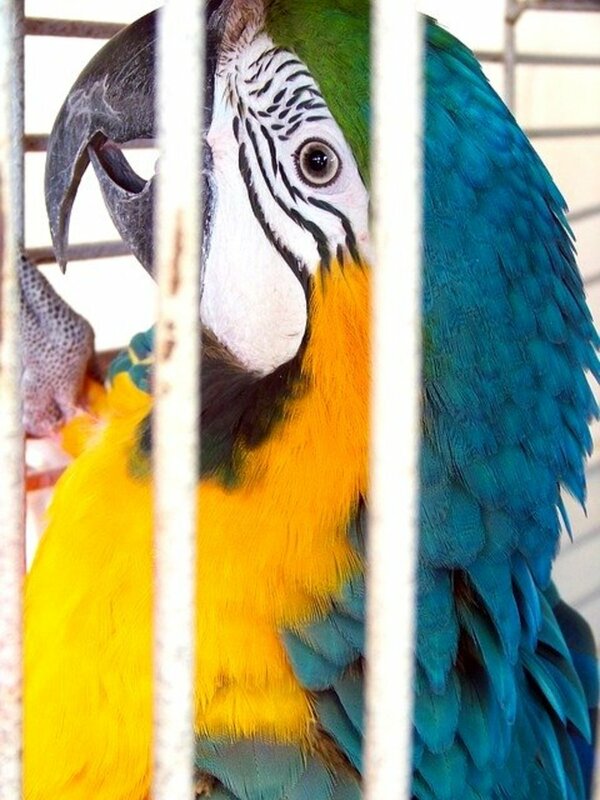 Parrots are intriguing birds that can live 40+ years. Naming the parrot correct is one of the most important things to do as they bird will keep the name for the rest of its life. 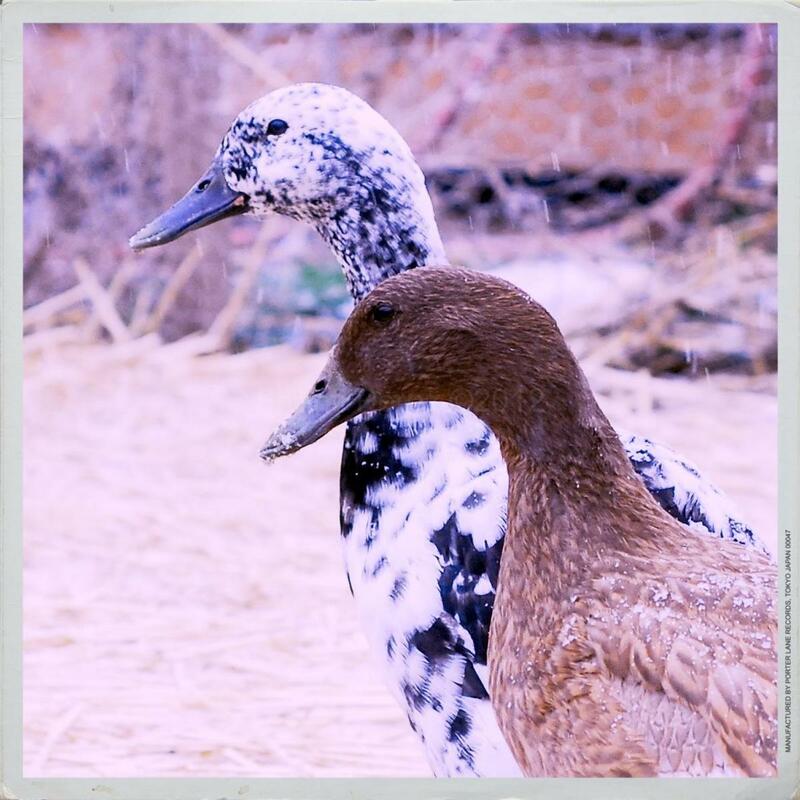 Designed with the duck caregiver in mind, this series of articles focuses on domestic ducks as individuals who are deserving of healthy, happy lives. 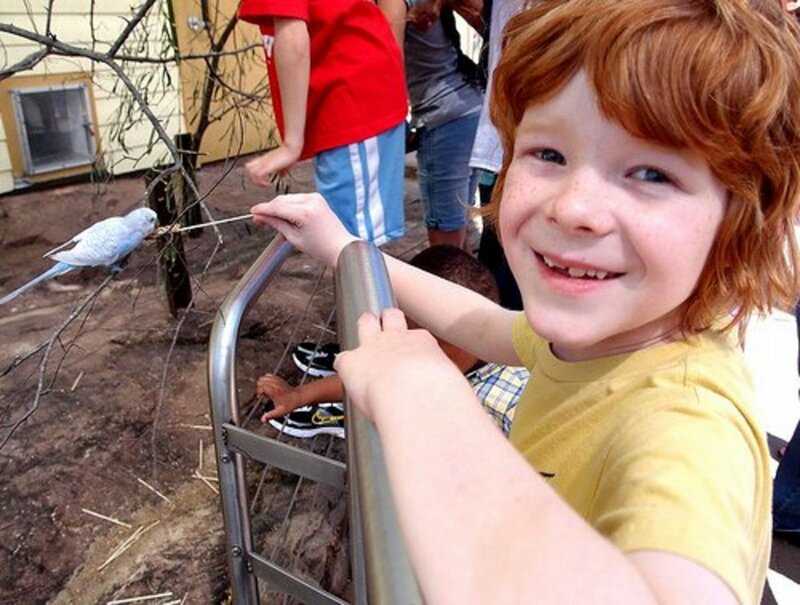 Ease the transition for your newest birds as you bring them home. 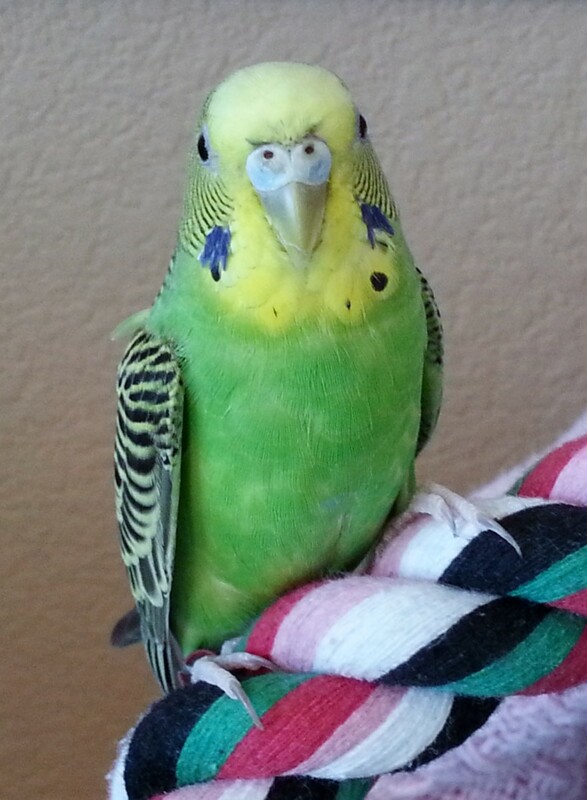 Parakeets make wonderful pets. A large part of their charm is their ability to speak, but sometimes the skill can be difficult to teach. 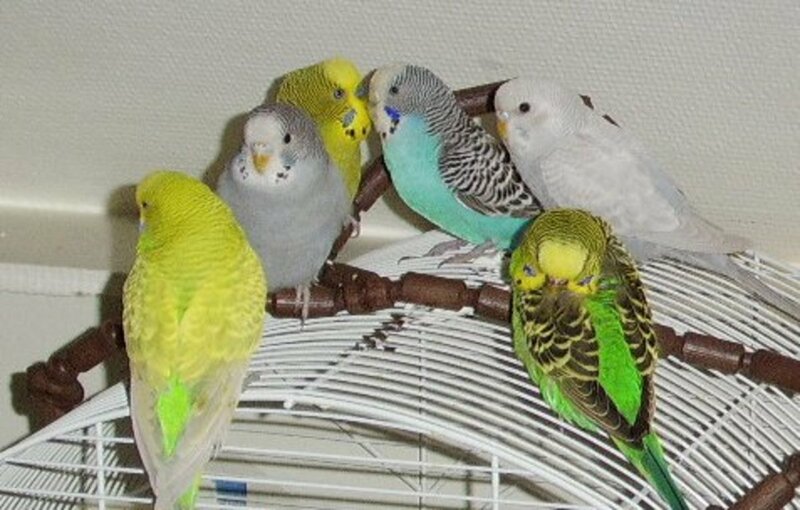 Budgies are much like humans in that their personalities and skills will vary, but most can learn to say a few simple phrases. 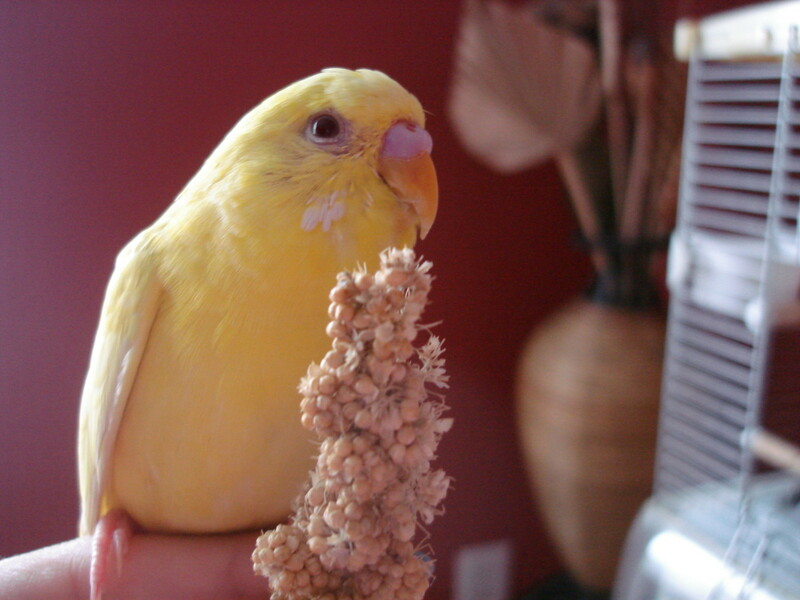 Here are some anecdotal tips for helping your bird learn to talk. 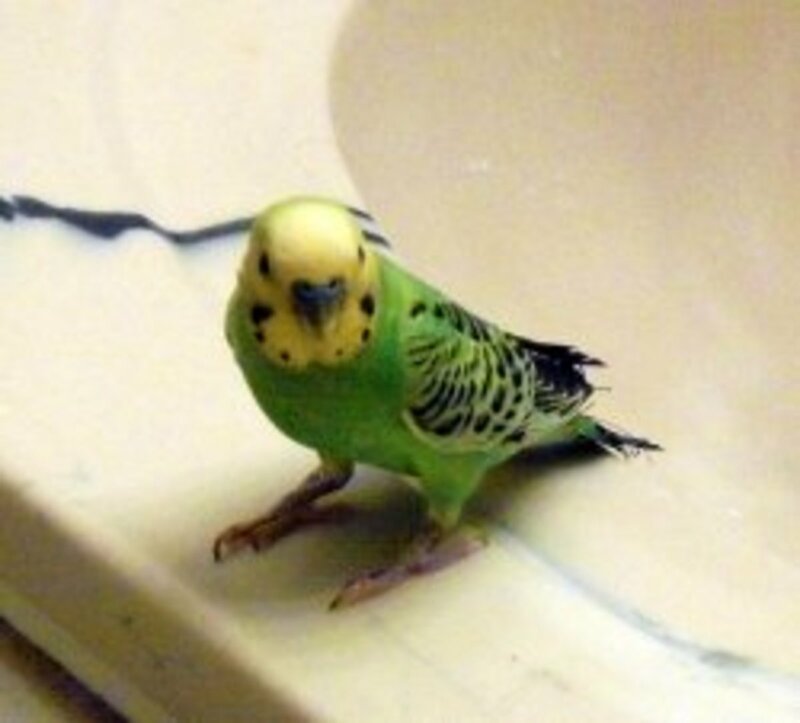 Parakeet's are great starter pets. 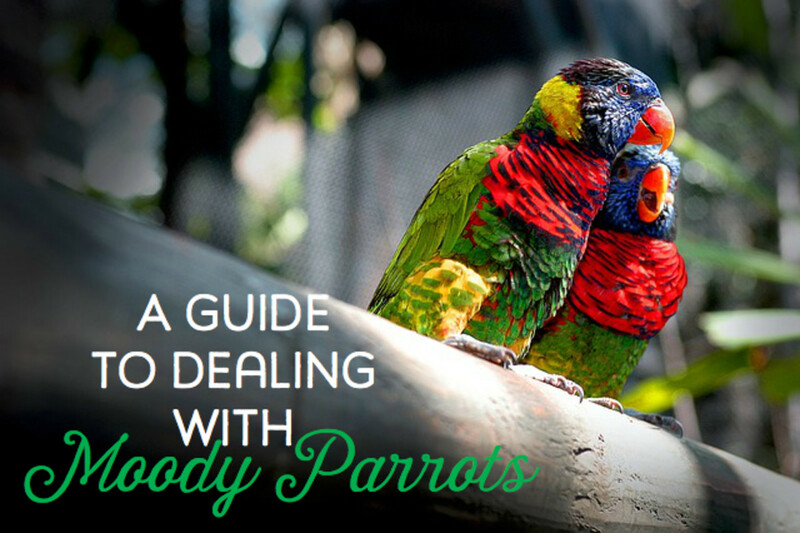 This article explores some of the things you should consider before you buy one of these wonderful birds. 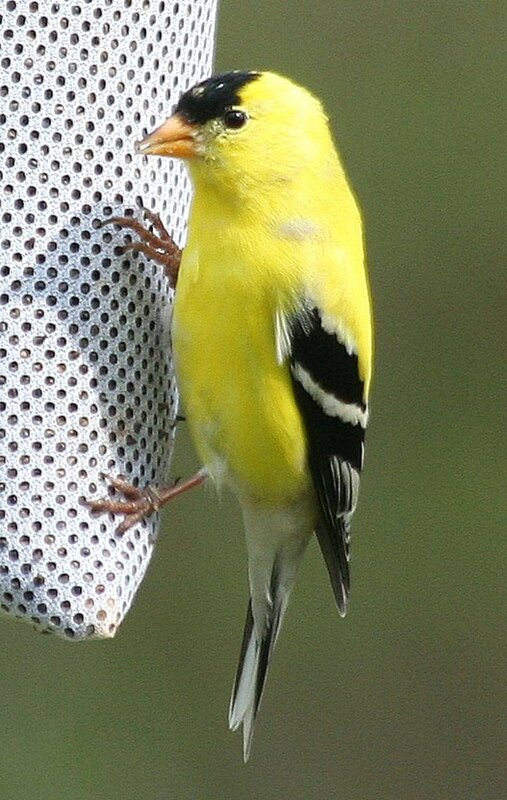 An article that shows the history and other topics related to avian conjunctivitis as it relates to American goldfinches through the lens of an amateur bird watcher. 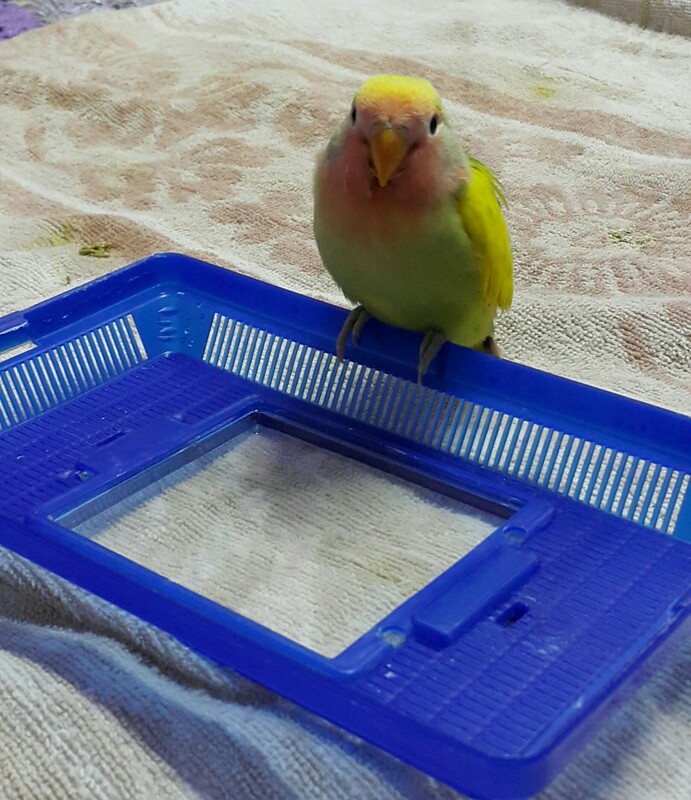 Find out how to quickly and easily finger train a wild parakeet in a few simple steps. 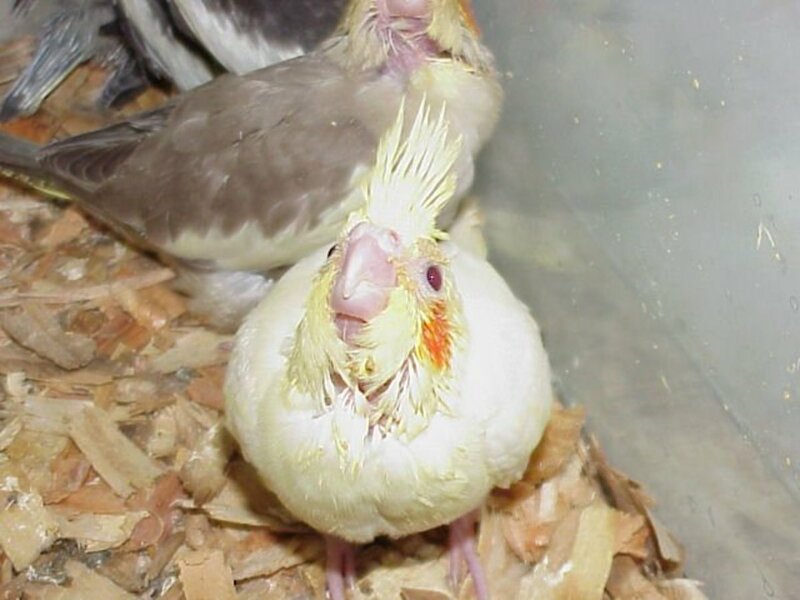 Baby cockatiels grow from an inch-long hatchling to adult size in just six weeks. It takes 8-10 days for their eyes to open, but even closed eyes offer a clue as to the baby's future color. 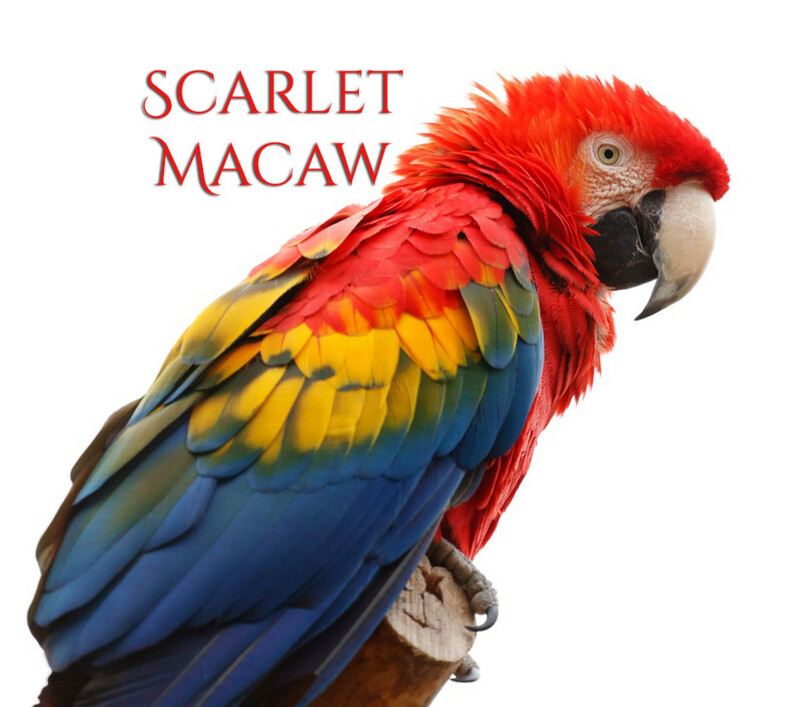 Are you thinking about buying a scarlet macaw? There are many things to consider before making that purchase, including housing, feeding, potential problems with other animals and neighbors. 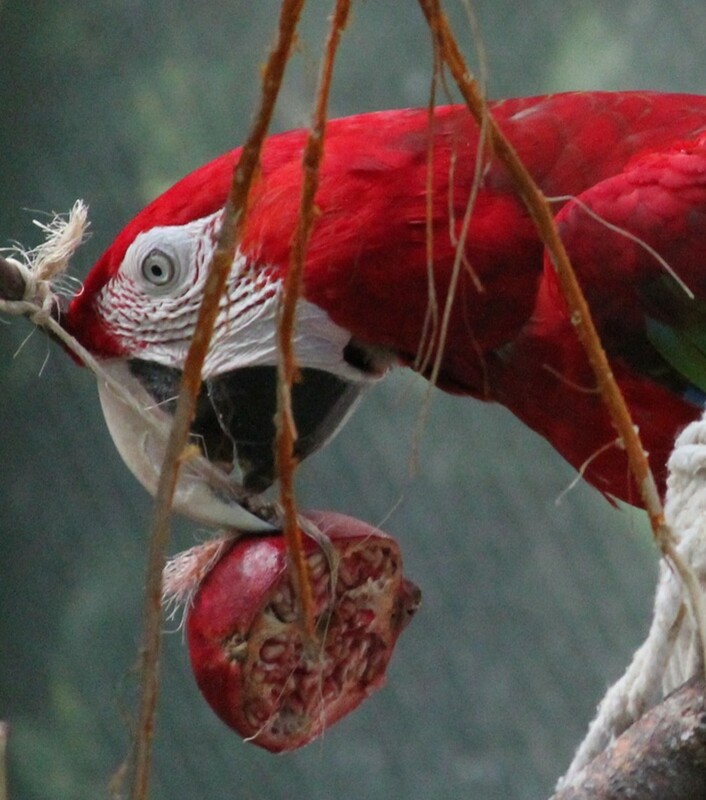 Here's advice from someone who has bred and raised many large parrots including the scarlet macaw. 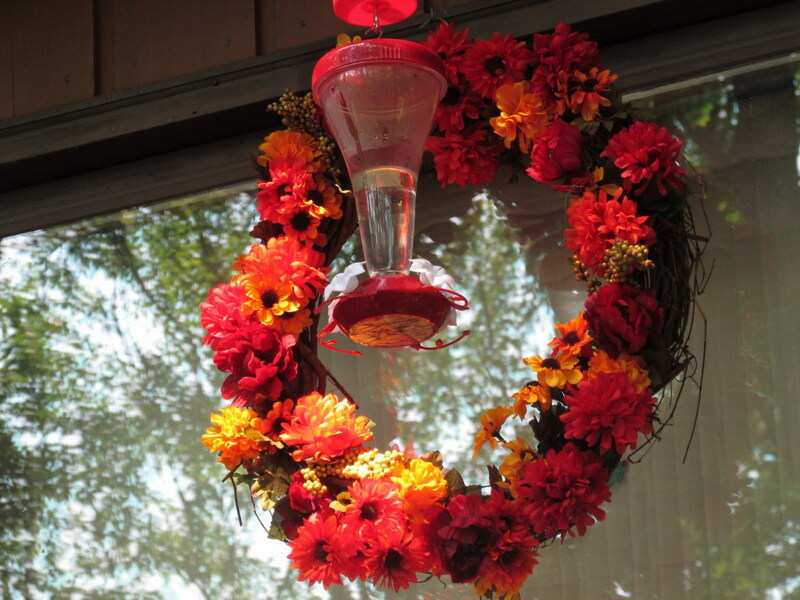 If hummingbirds don’t seem to visit your yard, or you want to add a beautiful decorative statement to your windows while attracting even more hummers, this easy-to-make hummingbird feeder wreath will surely help the little guys find their way to you. I made mine in less than a half hour with an investment of under $20.00; and I have three times more hummers than ever before! An introduction to the topic of wing clipping for those new to the bird world. Should You Have a New Bird's Wings Clipped? 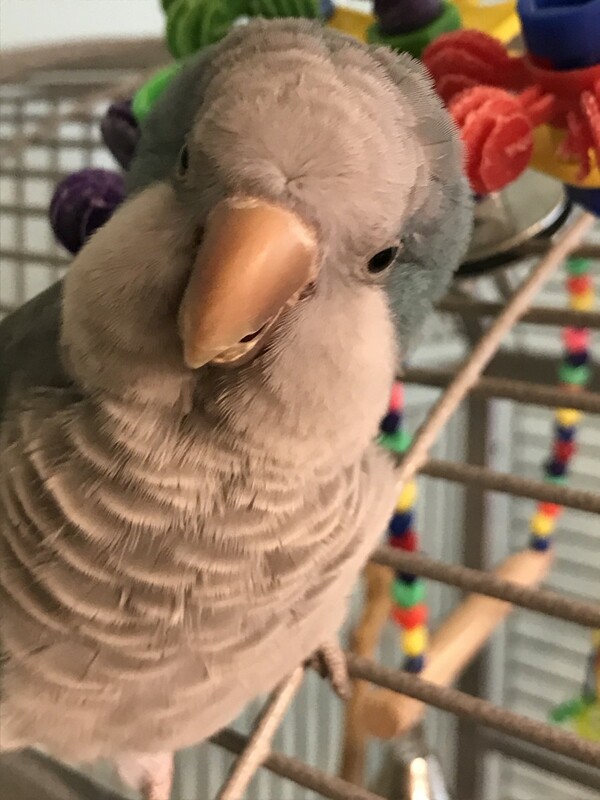 If someone had told us we'd share our lives with a bird we could converse with, we would have thought this impossible —until a boisterous bird named Bailey came into our lives and stole our hearts. 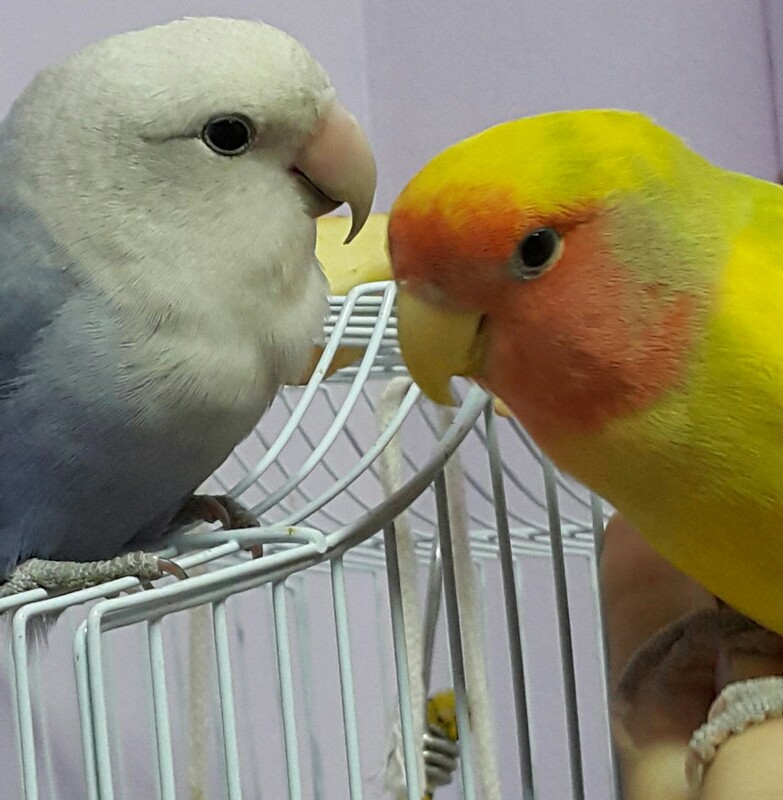 At times, lovebirds trouble you by not going inside their cage. 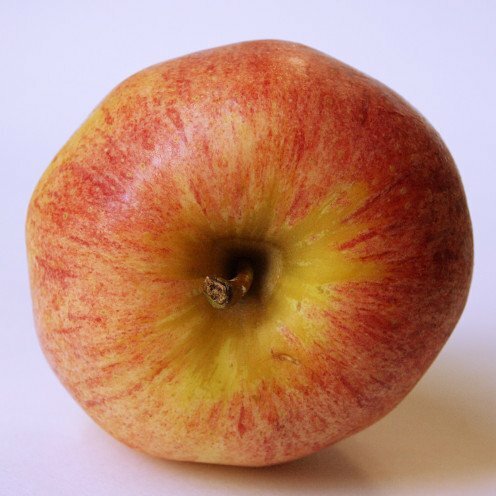 The following article discusses quick ways to put them inside. It also talks about the reasons why they want to stay outside. Many animal lovers enjoy the company of both cats and birds, but are afraid to keep both pets in the same house. Here's how it can be done. Can Cats and Birds Live Together in the Same House? 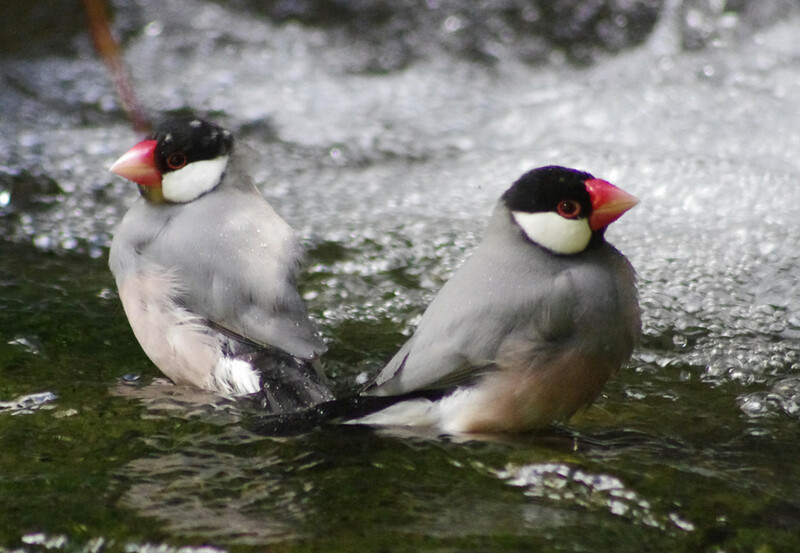 Given the fact that lovebirds choose mates and bond with them for life, bonding and "falling in love" isn't always that typical. The following article depicts the unconventional tale of my two pets. 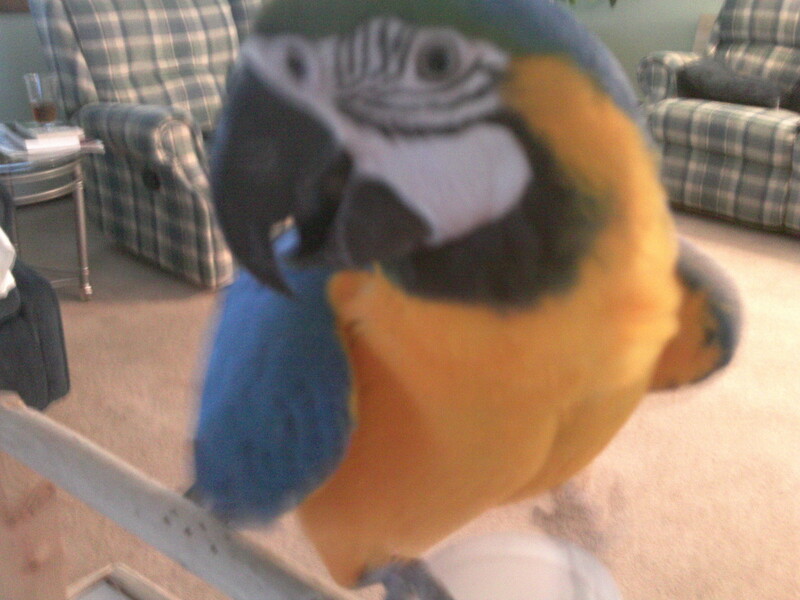 Is your parrot picking its feathers? 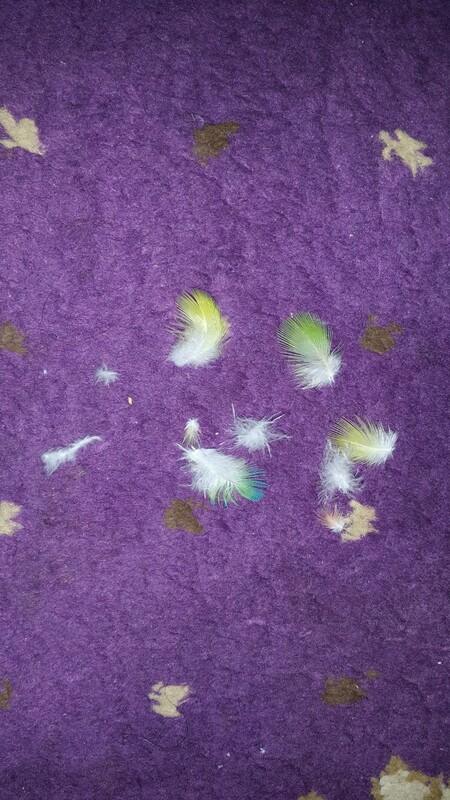 Learn from my experience with my feather-plucking parrot. Let's discuss what causes the behaviour and how you can try to help reverse it. 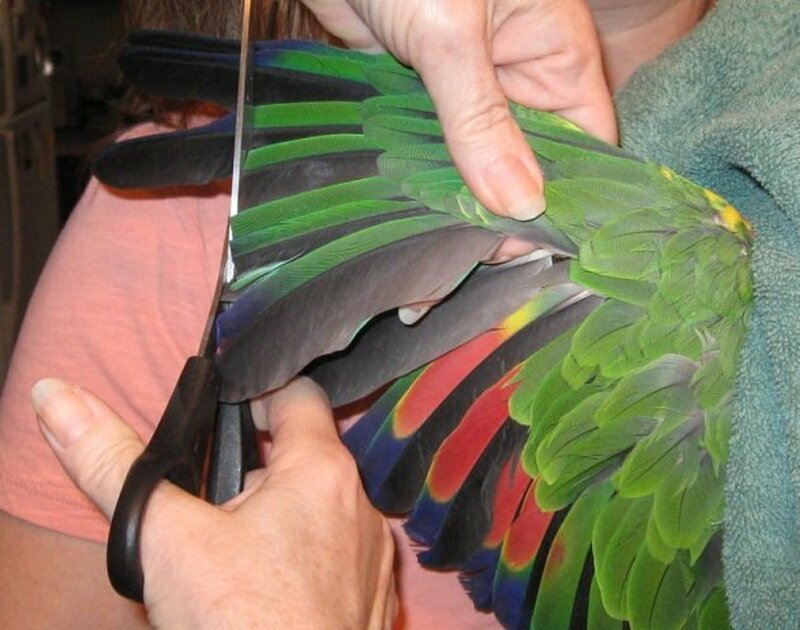 Why Is My Ring-Necked Parrot Feather-Plucking? 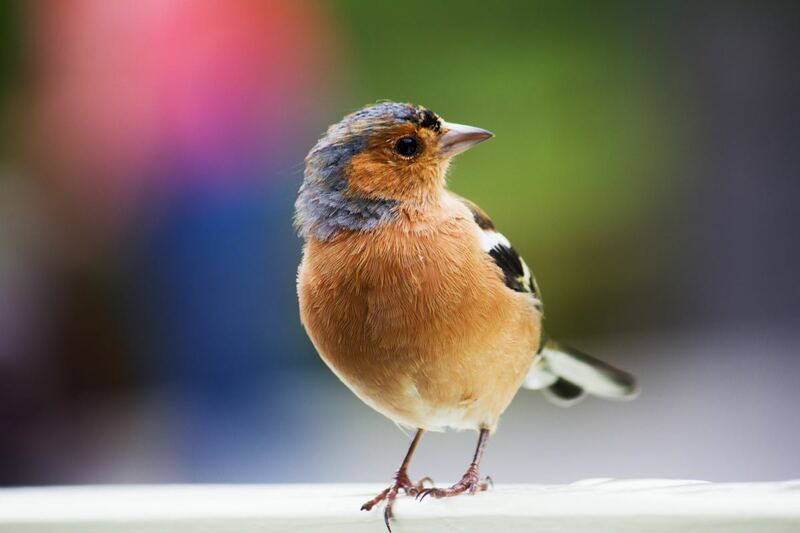 A brief summary of 3 types of domestic birds which are perfect for new bird owners, as well as some tips on what to expect if you do decide to purchase one. 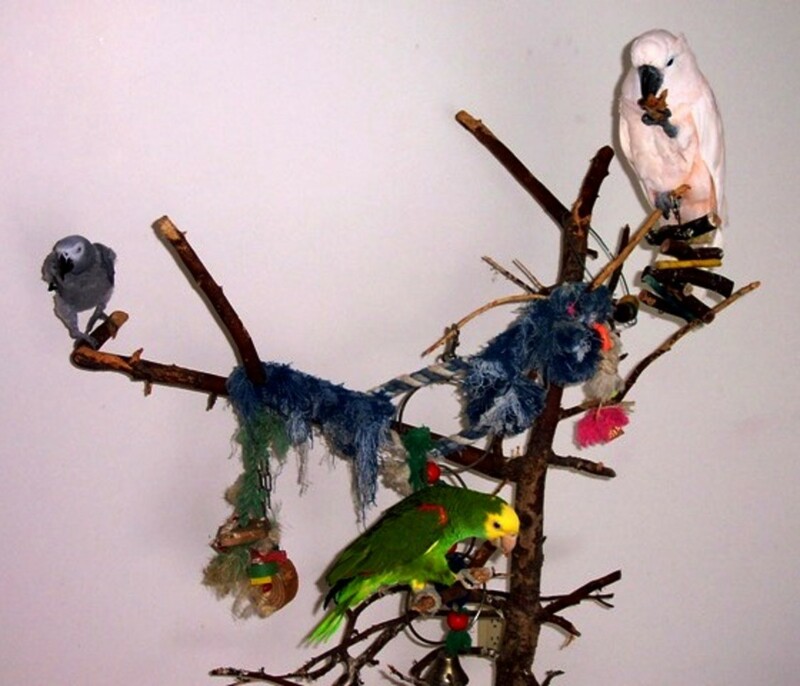 Are you thinking about adopting a parakeet, parrot, or other type of pet bird? 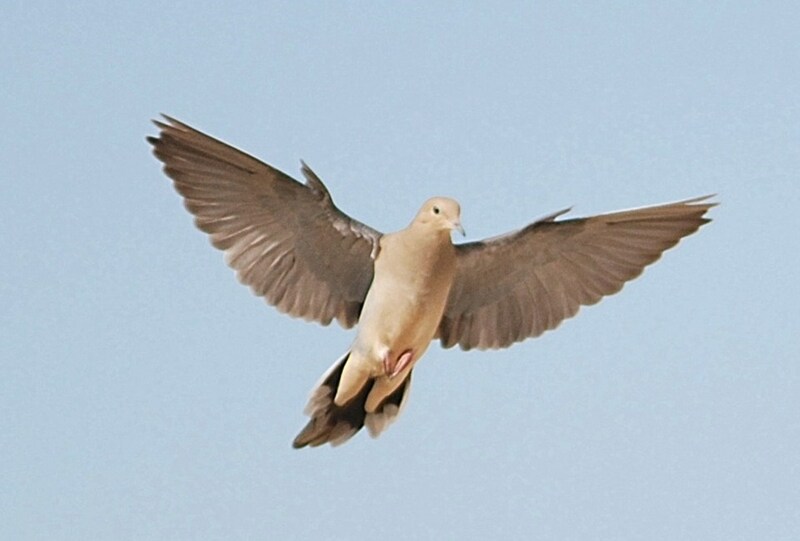 Find out what to look for when selecting a bird and what to expect when you bring it home. The basics, how much, what else to feed them and what not to feed them. 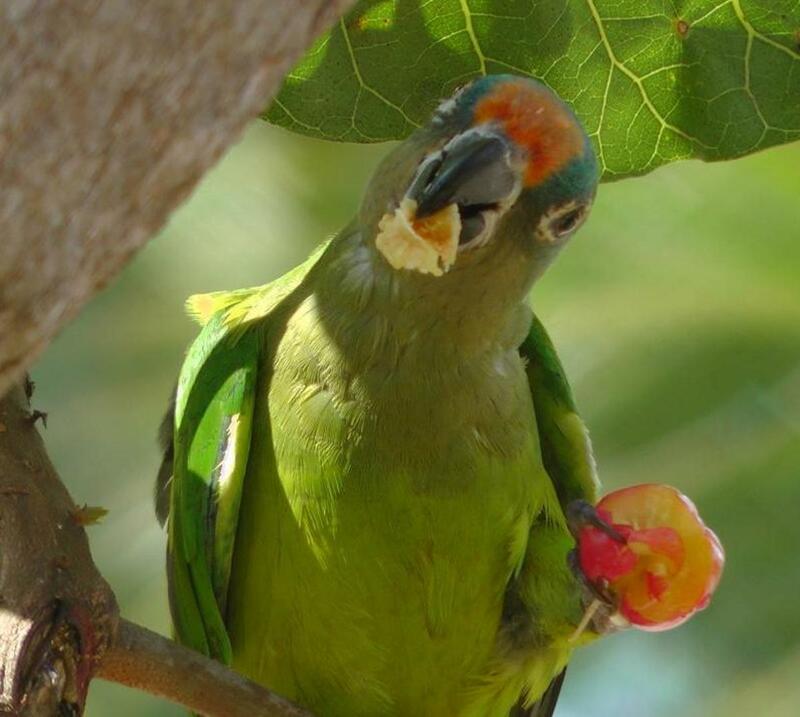 Green-Cheeked Conure, do's and don'ts. These loving little clowns will brighten your lives if you let them, but they need to be a viable part of your family to be happy. 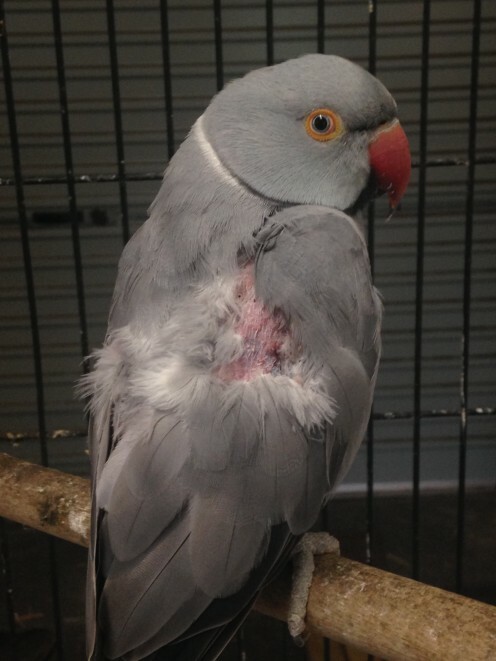 Bird owners have mixed feelings about wing clipping. Is it mean to clip your bird's wings? After all, they are born to fly. Let's take a closer look at how to clip wings and the reasons it is recommended. 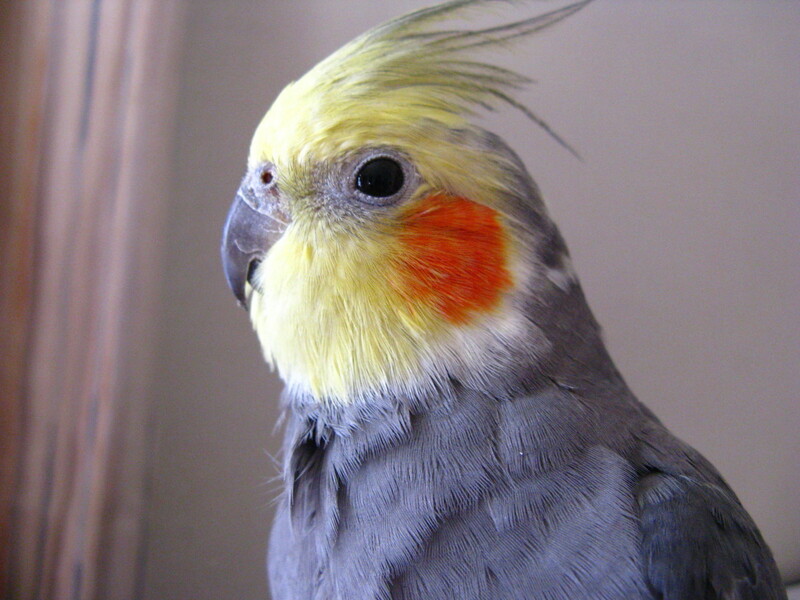 Cockatiels, like most crested birds, show a lot of emotion using their crests. Contrary to popular belief, they can tell you more than just anger or comfort/happiness. 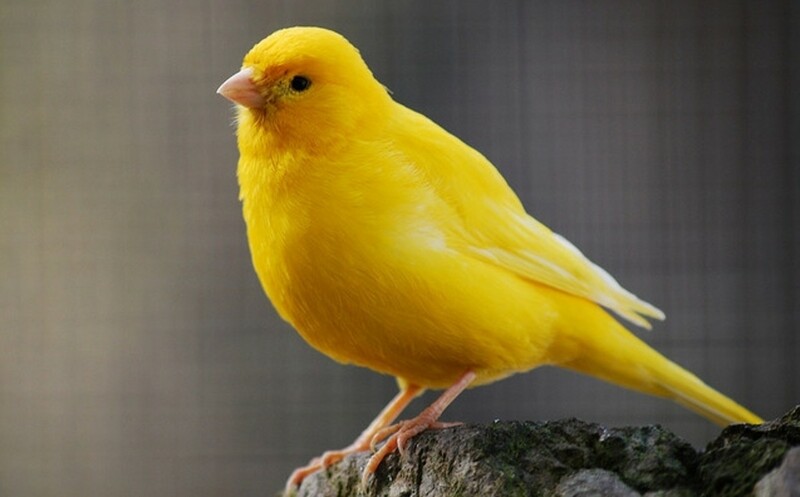 The albino budgie is a beautiful creature. 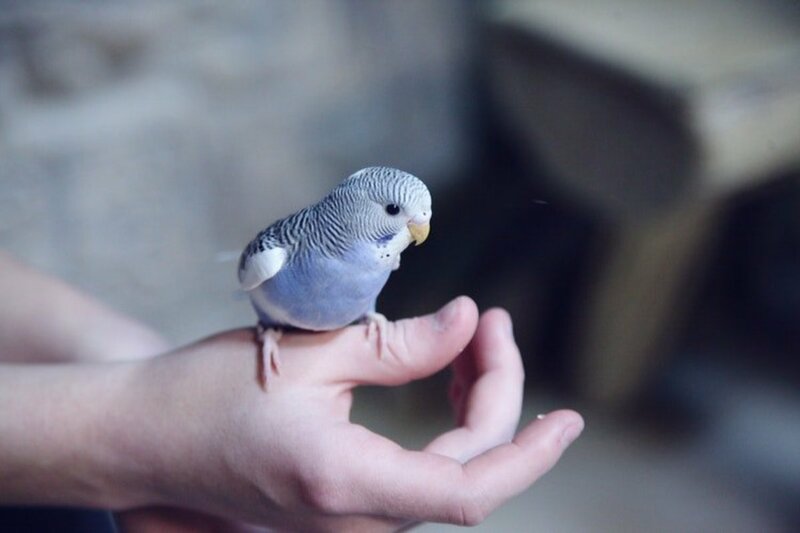 The needs of this pet are not much different from normal coloured budgies, but there are some interesting traits of this type that you should know about. 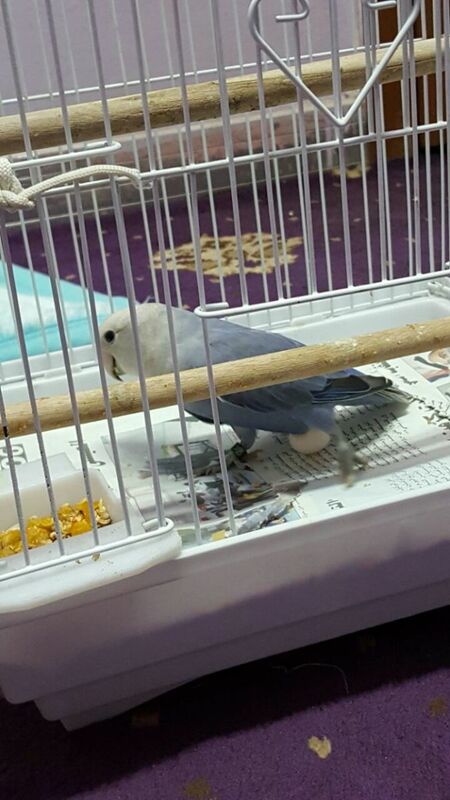 An albino budgie can make a perfect pet for those who love this parakeet. 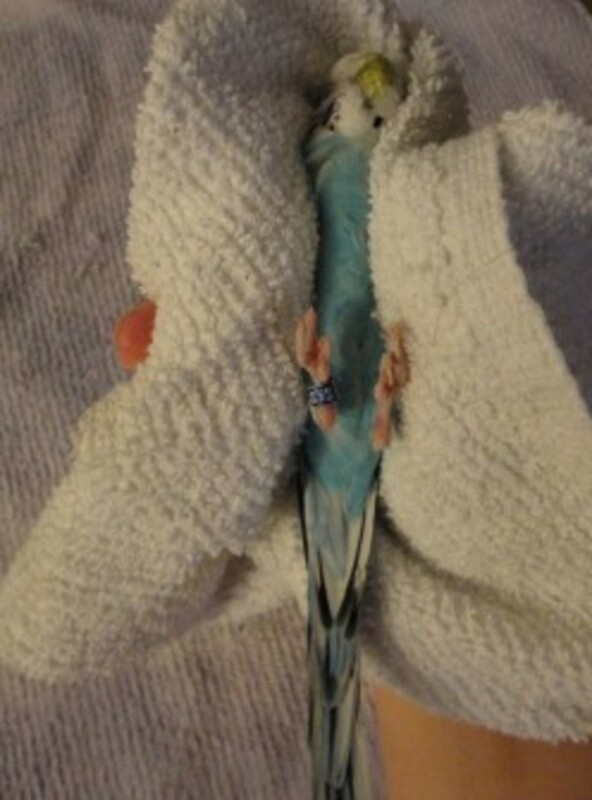 Budgies are great pets. They are smart, funny, can become pretty attached to a human being and some even learn to talk! 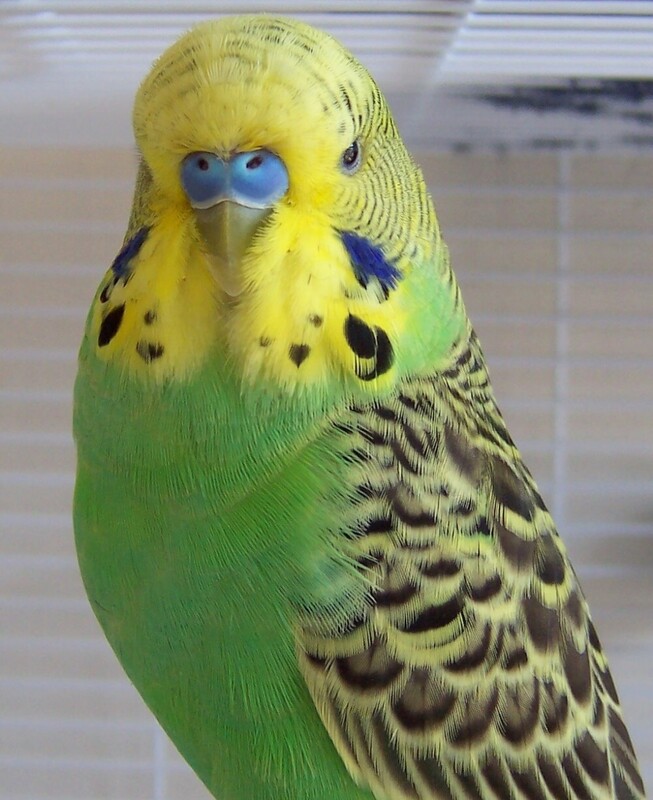 But there is more to keeping a budgie than you would think at first glance. 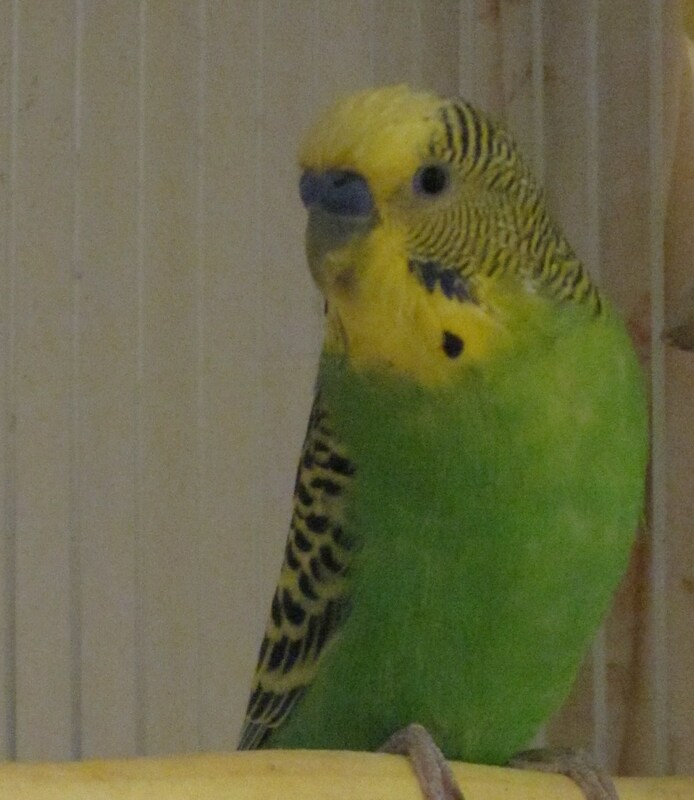 Is a budgie right for you? Read on to find out. 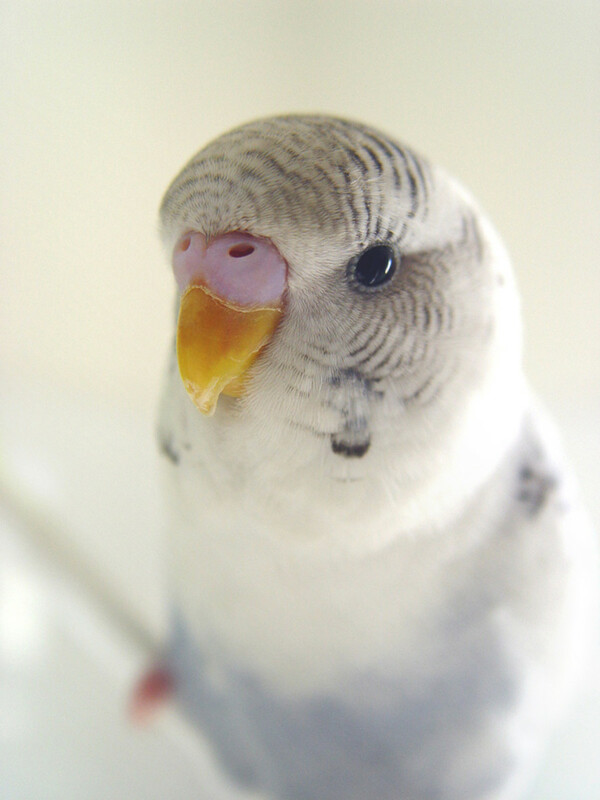 Should You Get a Budgie? 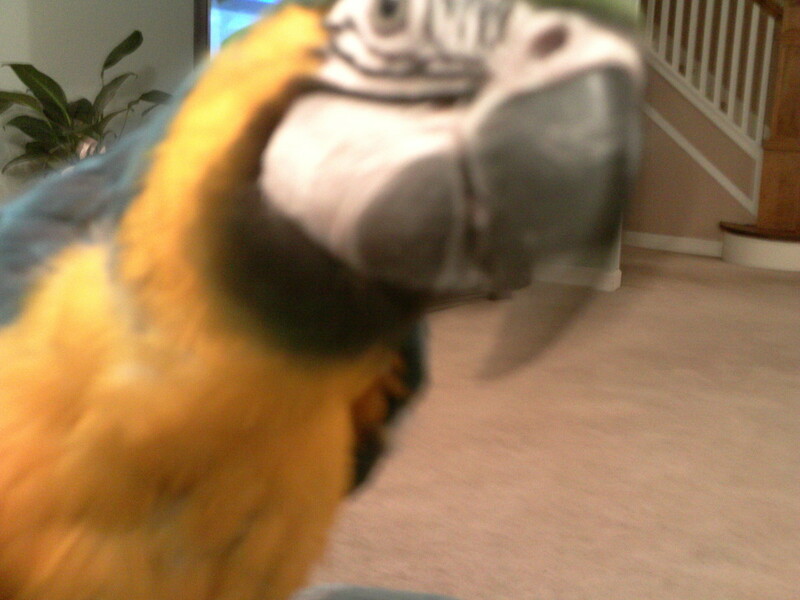 I've learned that parrots, like children, have an uncanny habit of saying things at the most inopportune moments. Vying for attention, they rise superbly and instinctively to occasions when attention is focused elsewhere, outdoing themselves with verbal acuity. 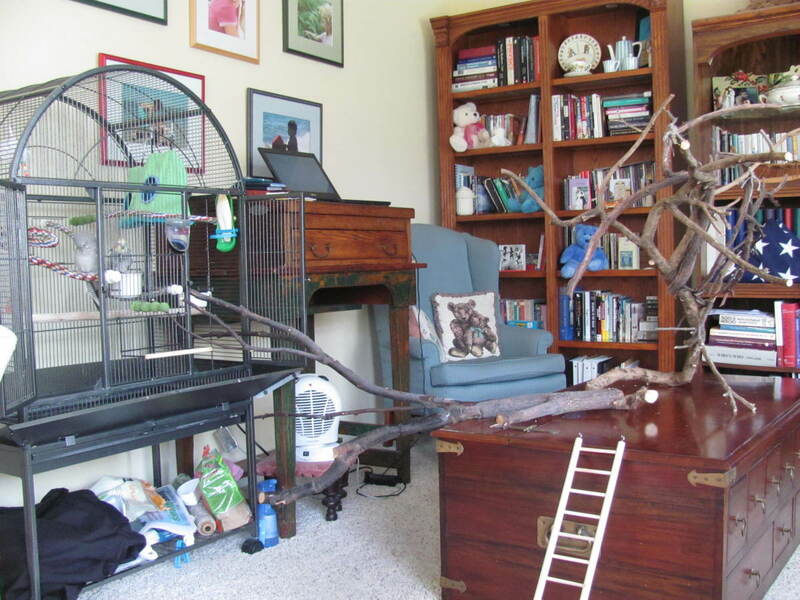 Ideas and examples of how to organize indoor space for companion birds. 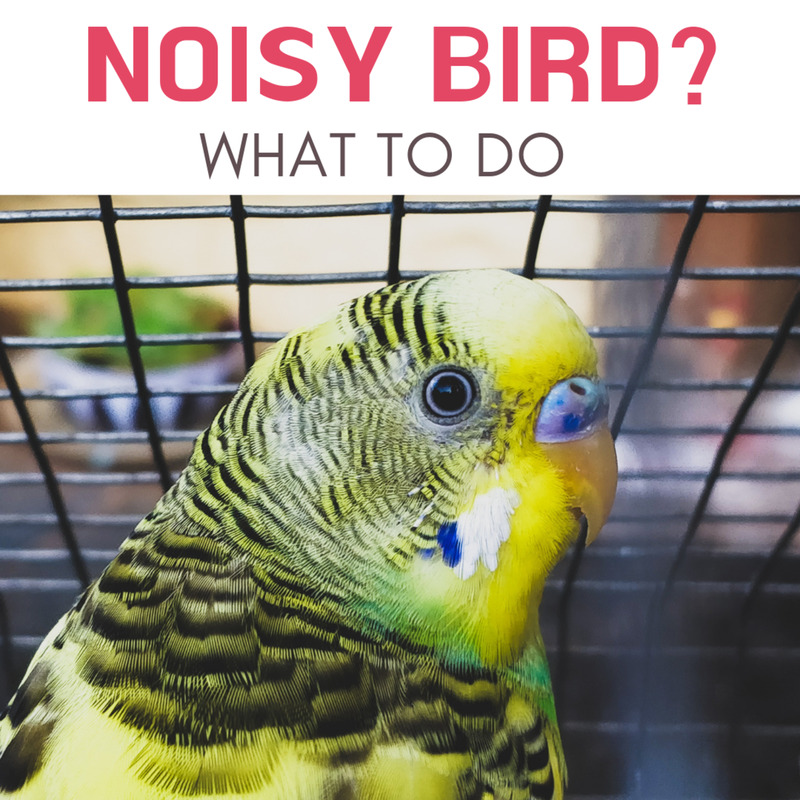 What to look for in a bird tree or stand, ideas for building one yourself, and things to think about when choosing a cage. 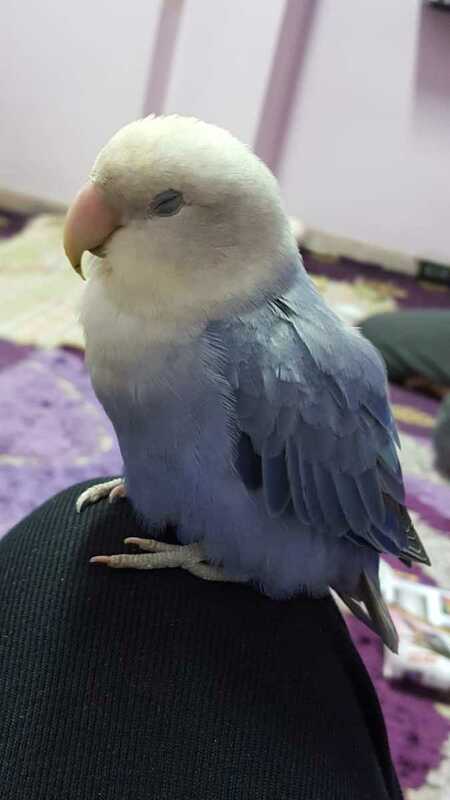 If you are searching for that perfect parrot, it is out there. When you find your perfect parrot, make sure you treat them well. 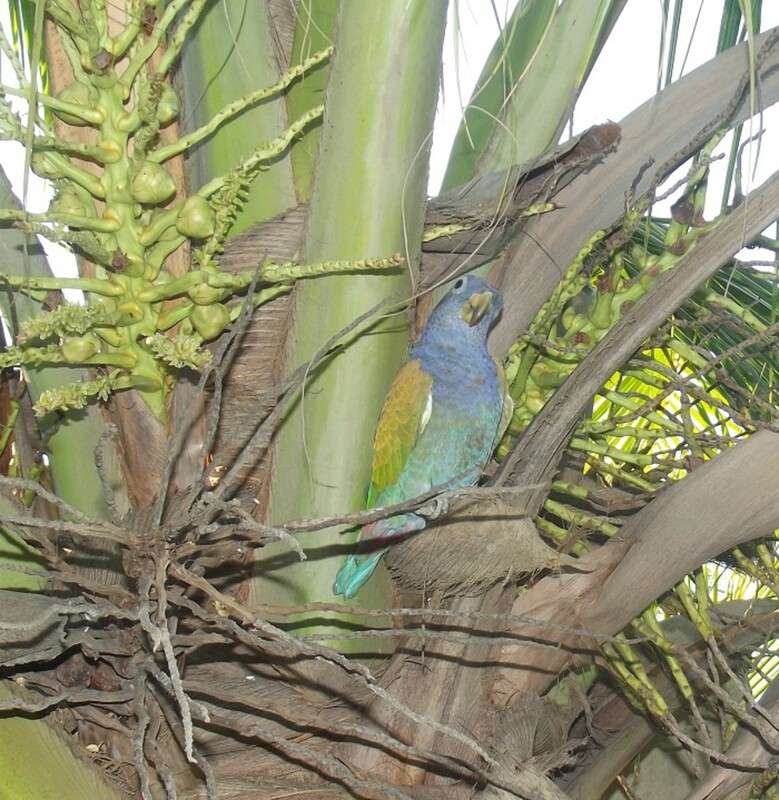 Find out how to take care of your Pionus. 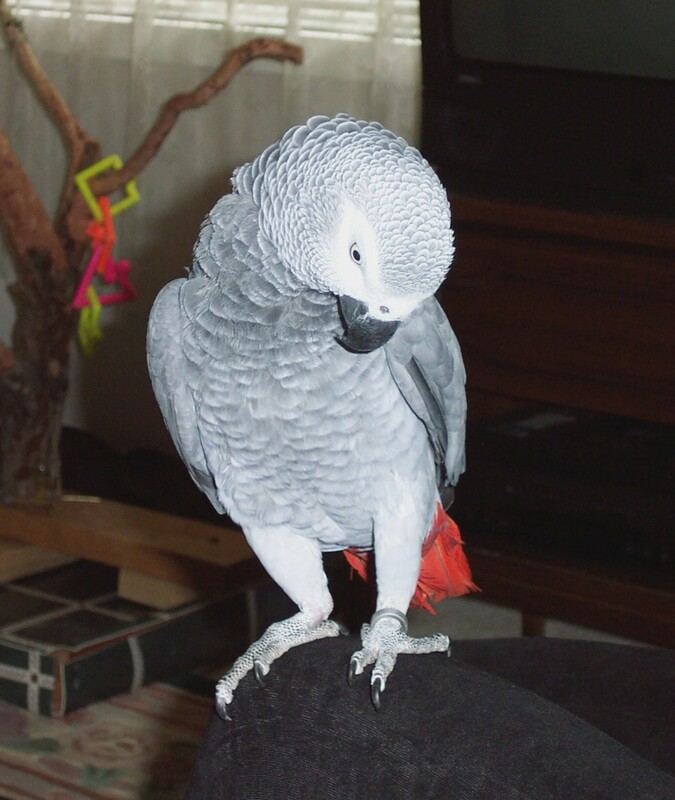 A detailed comparison of the Macaw and African Grey by a parrot expert and owner of both. Includes pictures and suggestions in order for you to make the best choice possible. 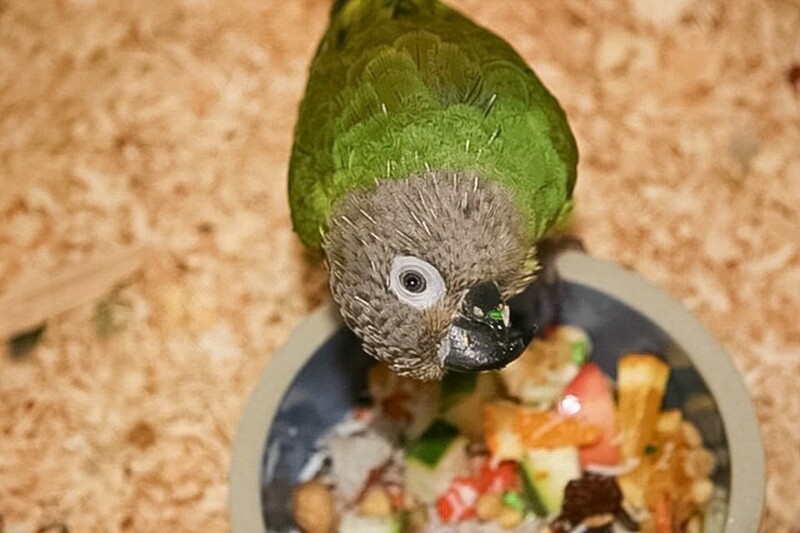 Which fruits and vegetables are safe for your bird, and how do you get him to eat them? 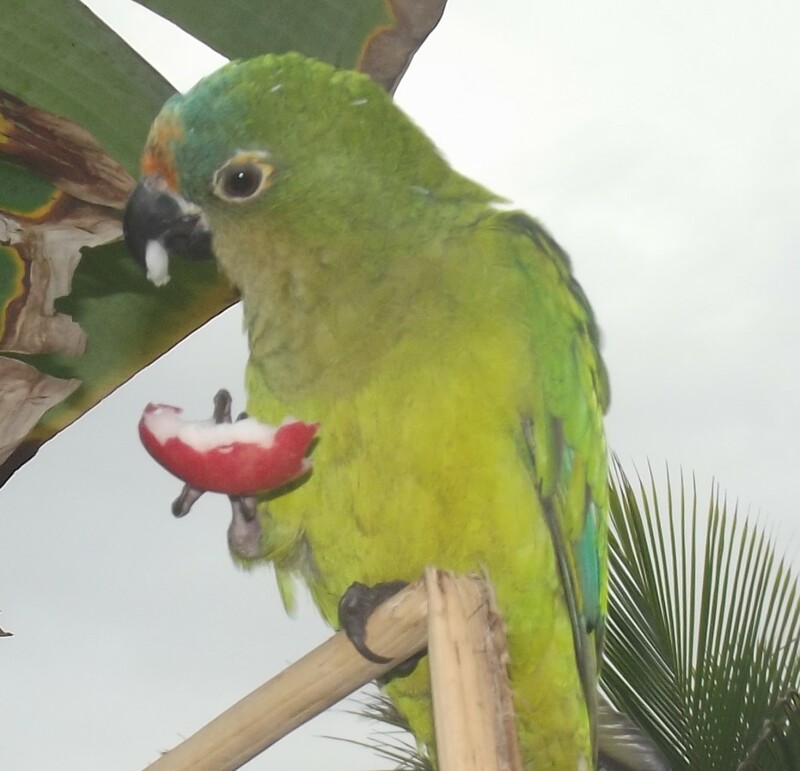 Getting your bird to eat his fruits and vegetables can be difficult, however, it's not impossible. 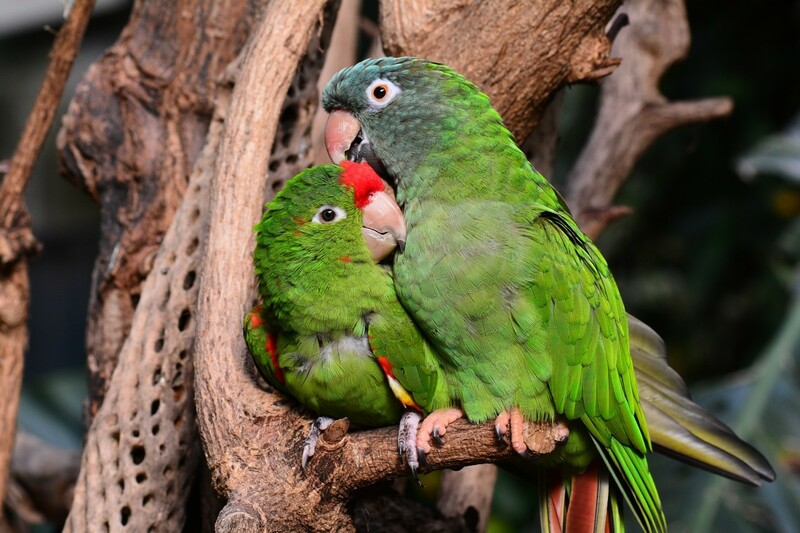 Based on my personal experience, the following article explains the egg-laying process in lovebirds, egg-binding and its cure and also takes a special look at infertility in lovebirds. 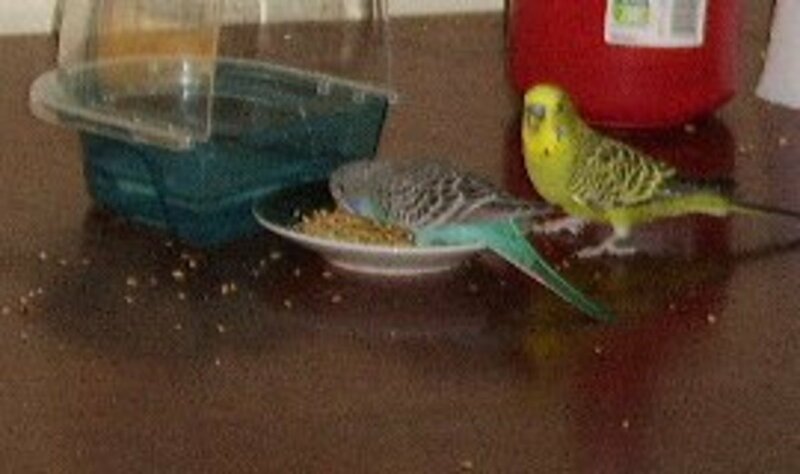 Budgies need more than a cage, perches and a bowl of seeds. But what more should you provide them with? Find out in this article. 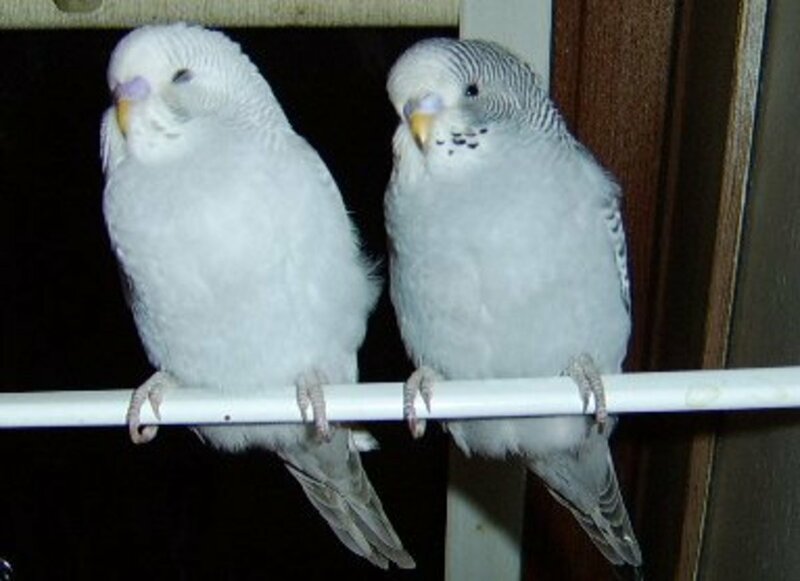 Breeding budgerigars, or budgies, is a very delicate and time-consuming process. 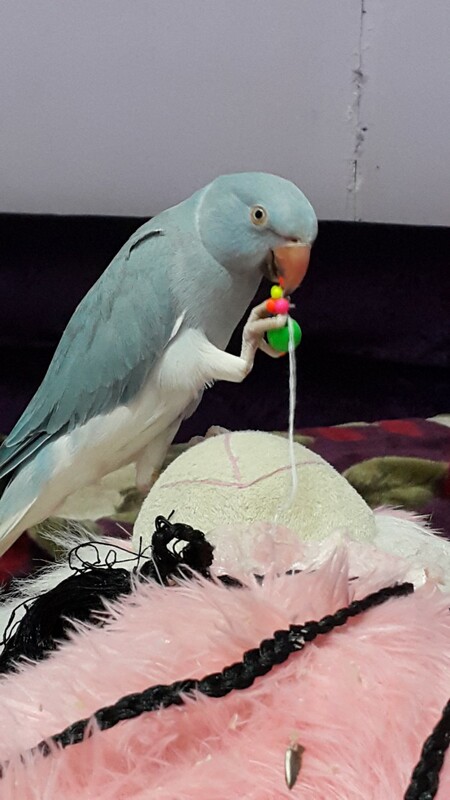 Difficulty and the hard work aside, breeding parakeets is an experience worth remembering. When you have a unique pet, it needs a unique name! 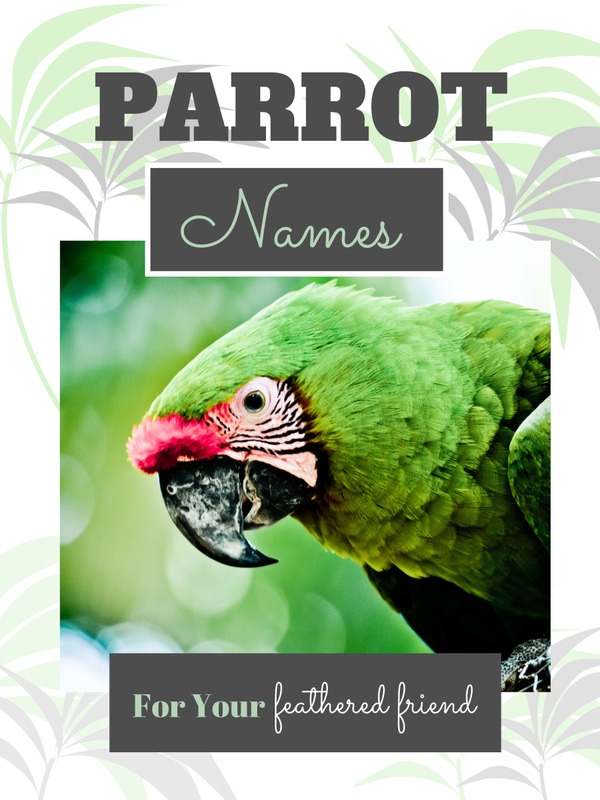 Here are over 250 creative parrot names to name your birdie bud! 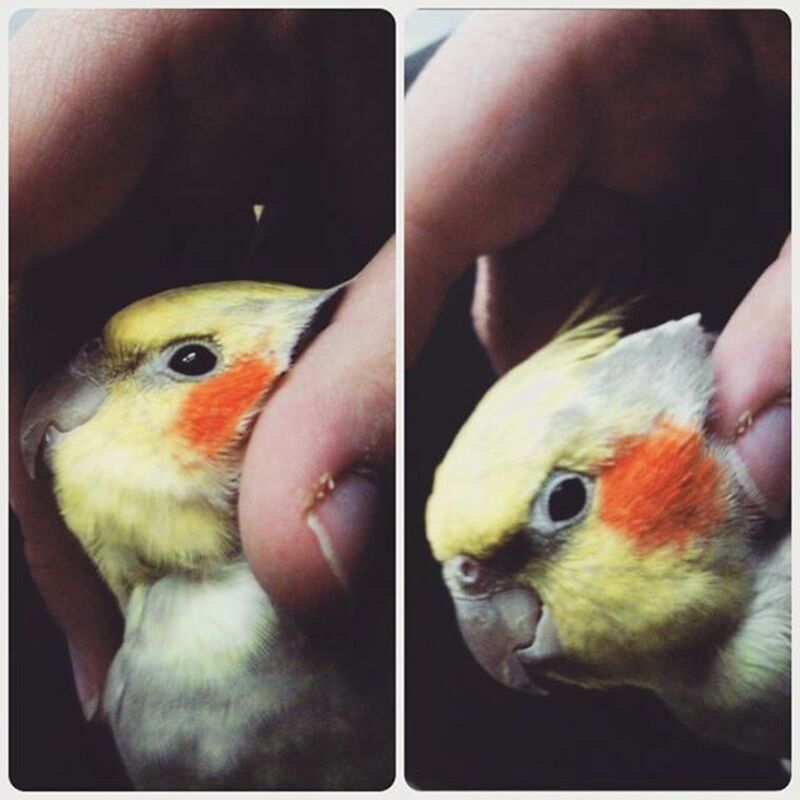 Do birds make good pets? 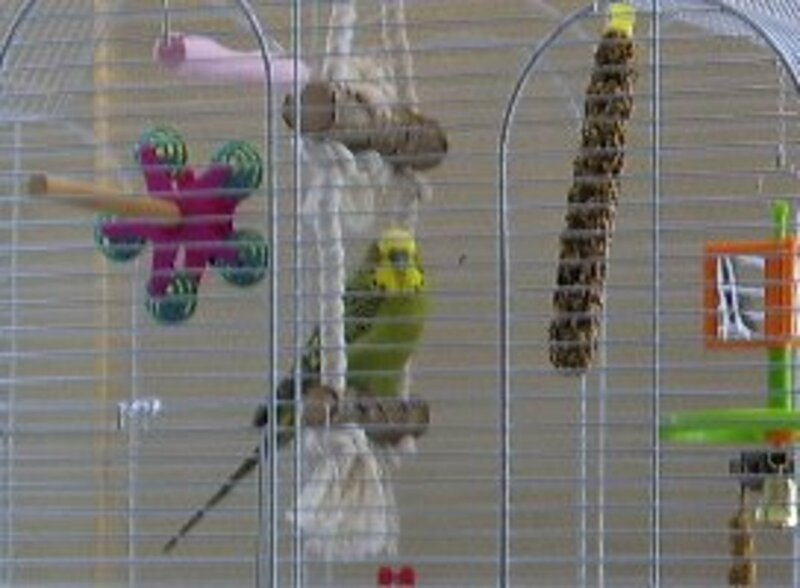 If you want a pet that will not make you overhaul your lifestyle, birds are a good choice. 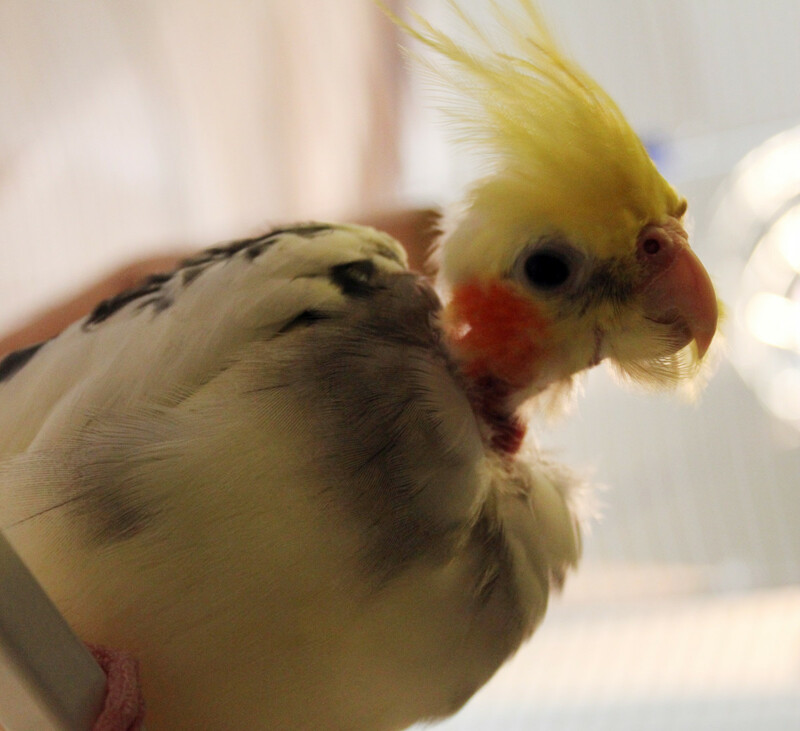 Read on to discover 8 top reasons why birds make good pets. 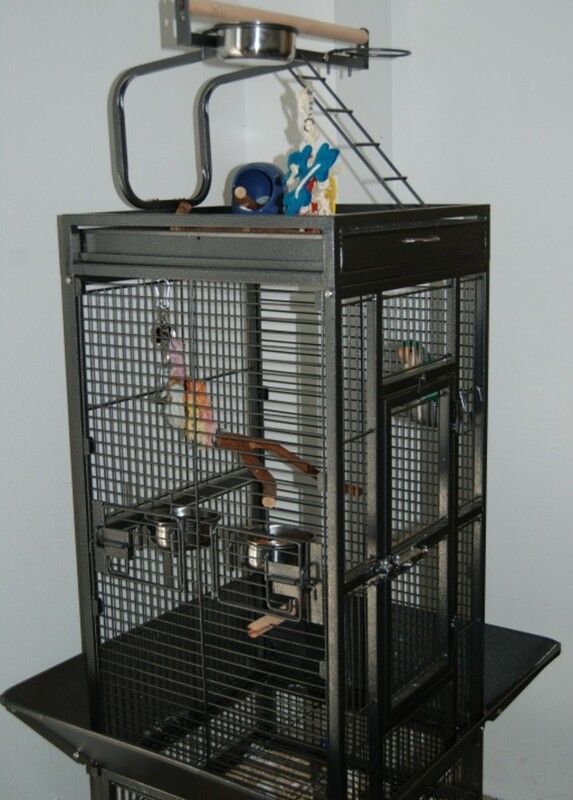 Find a cage that will last at an affordable price. People love their pets. 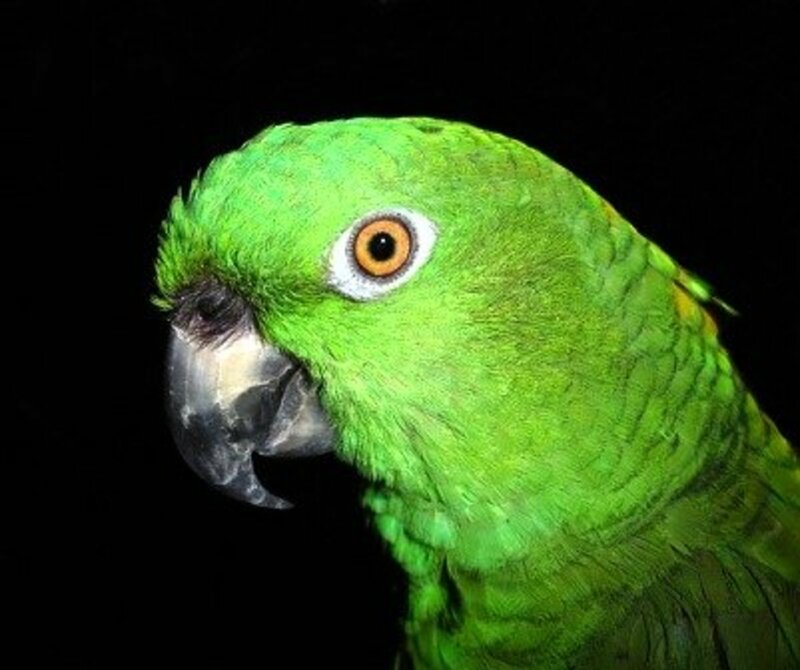 Dogs and cats are the most popular pets, but parrots may be a close third choice. 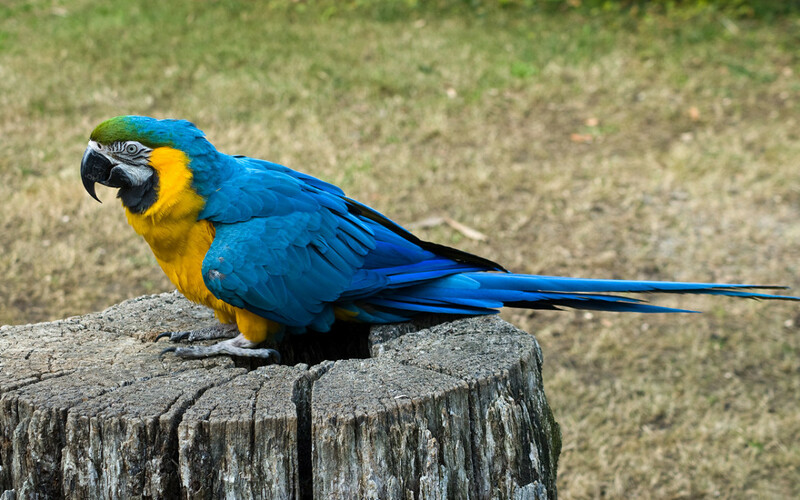 Parrots usually bond with one member of the family, but still accept others that flock around. 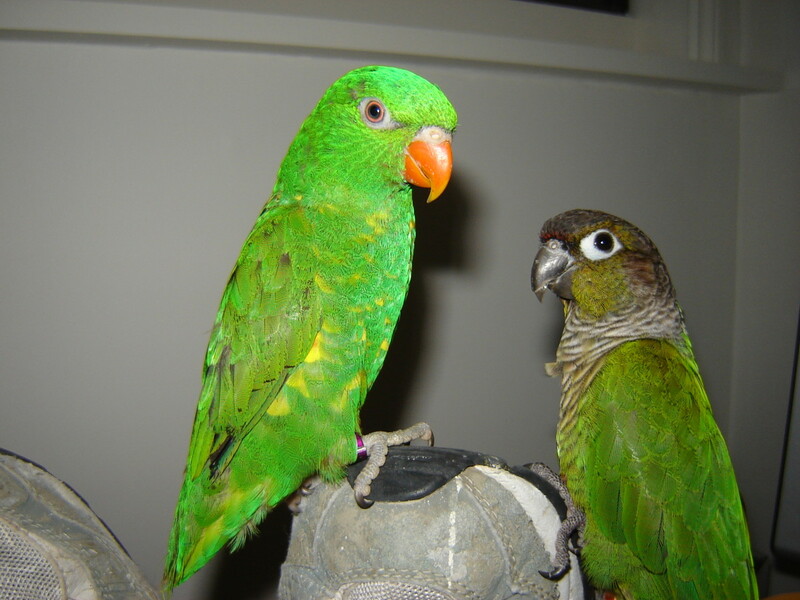 Dusky conures are affectionate and clever birds. 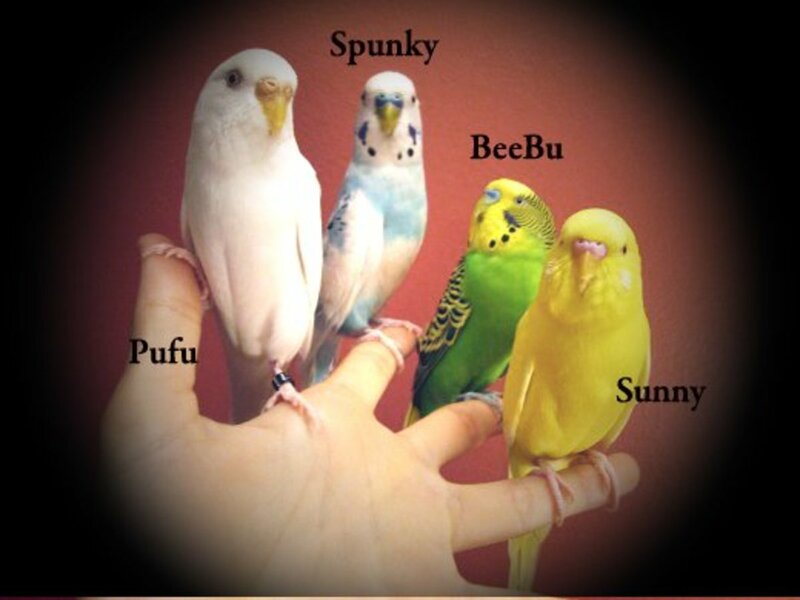 They can make wonderful pets and companions and usually get on well with other birds in the family. So, you either found a baby duck or multiple baby ducks, or you bought one at a feed store and you need help. 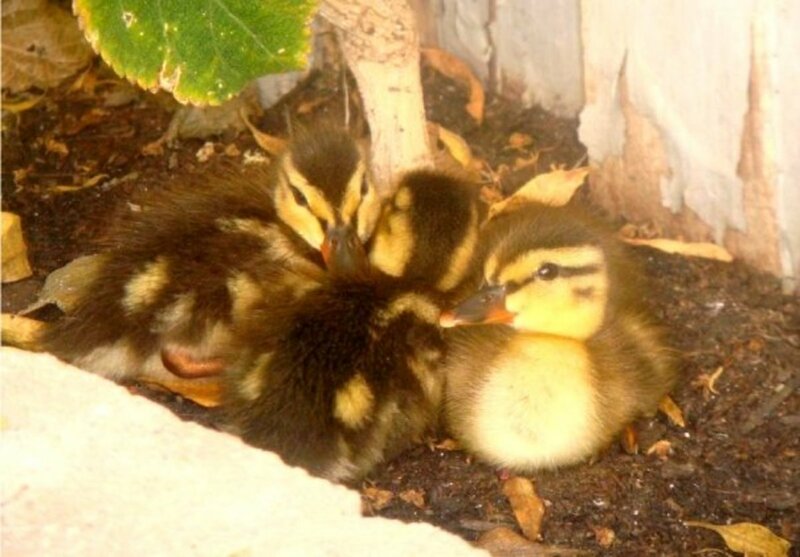 I personally found three abandoned ducklings in the middle of a busy intersection. 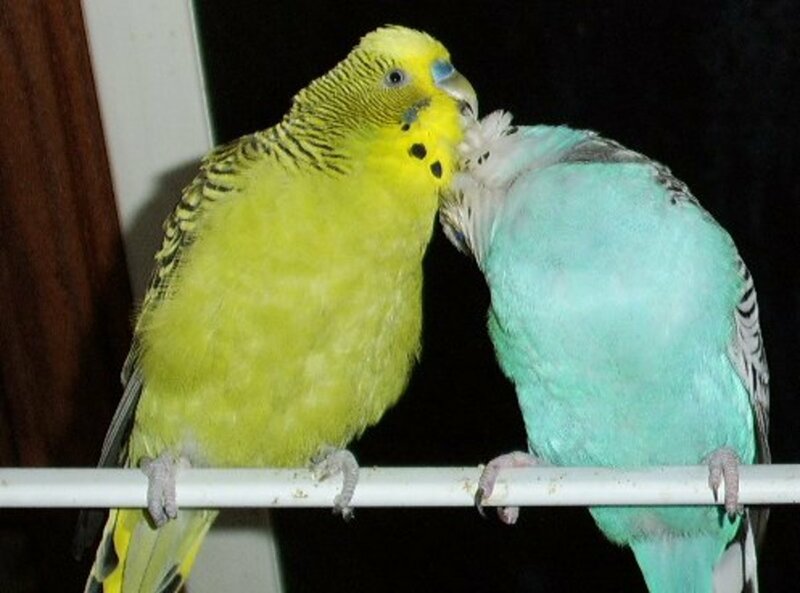 Why lovebirds make endearing and personable pets. 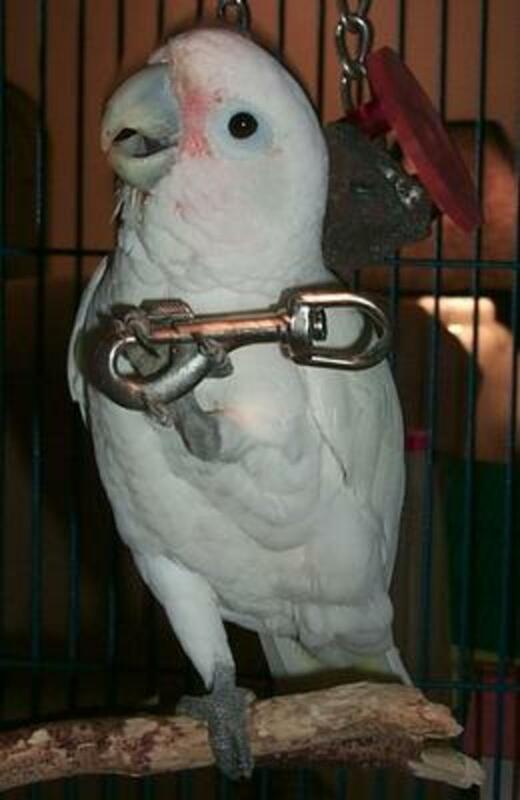 A parrot may refuse to enter its cage by using avoidance behavior or aggression. What's an owner to do? 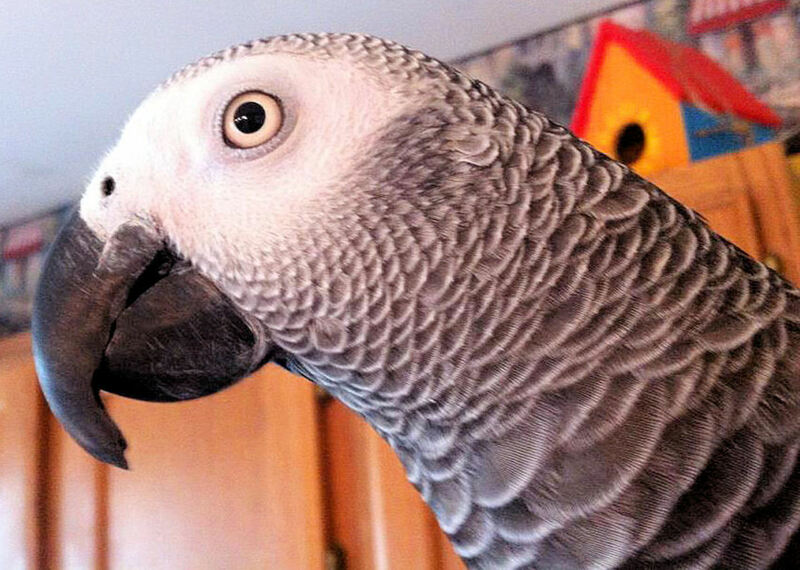 It can be delightful to converse with your parrot, but... how do you get it to communicate with you? 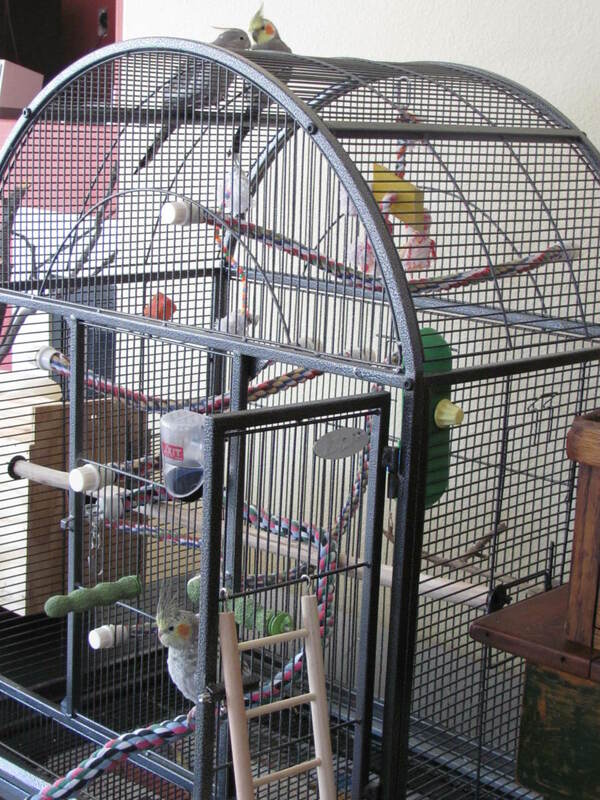 What do you need to set up a cage that will meet all your bird's needs and keep him happy? 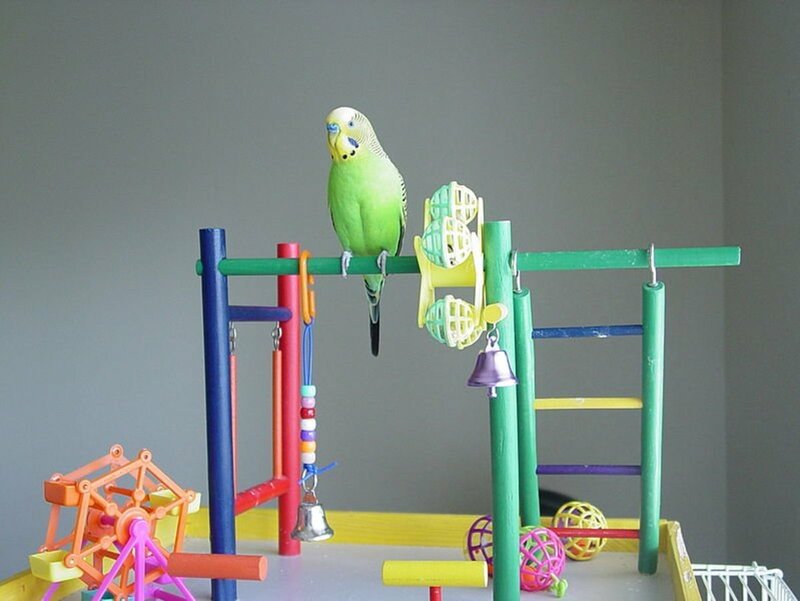 This article details things to consider when choosing perches, food and water bowls, mineral supplements and toys. 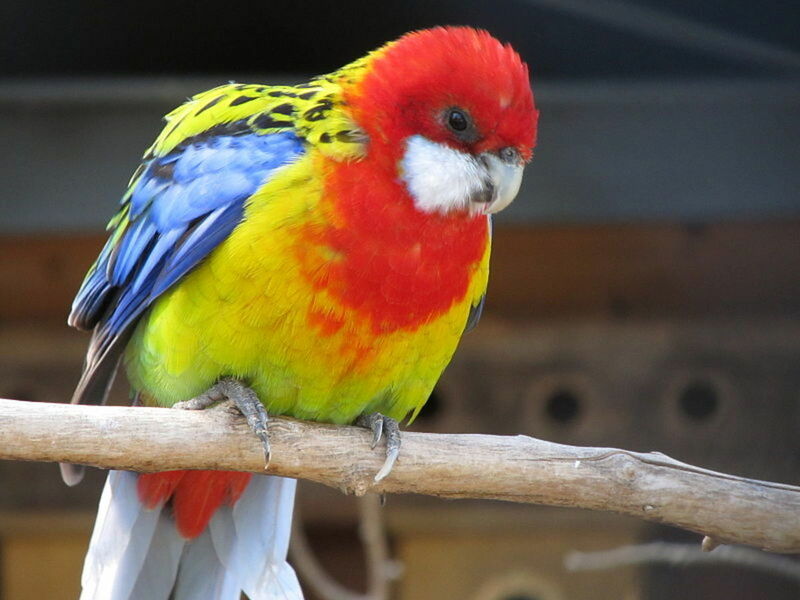 The Australian Princess parrot is beautiful in the wild, but it can also make a delightful pet. 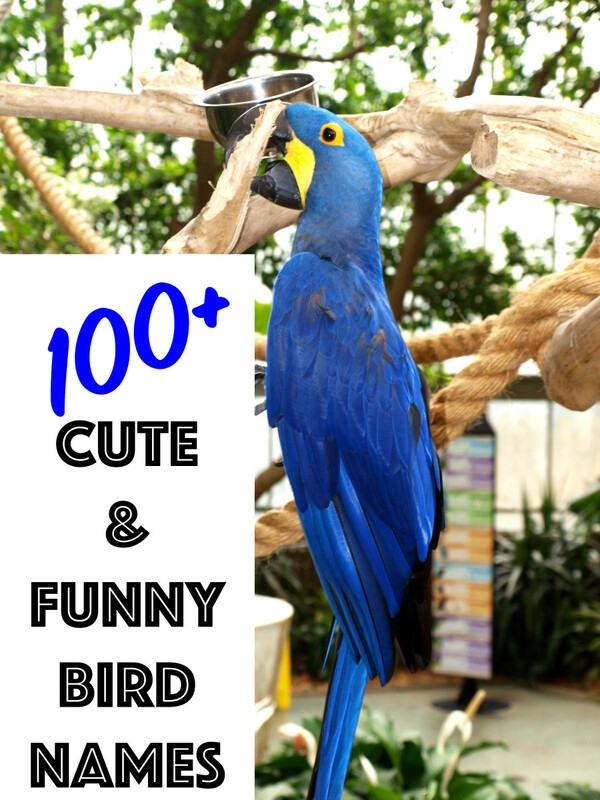 A list of basic tricks to start training your macaw along with step-by-step instructions on specific tricks and behaviors. Pictures and videos included. 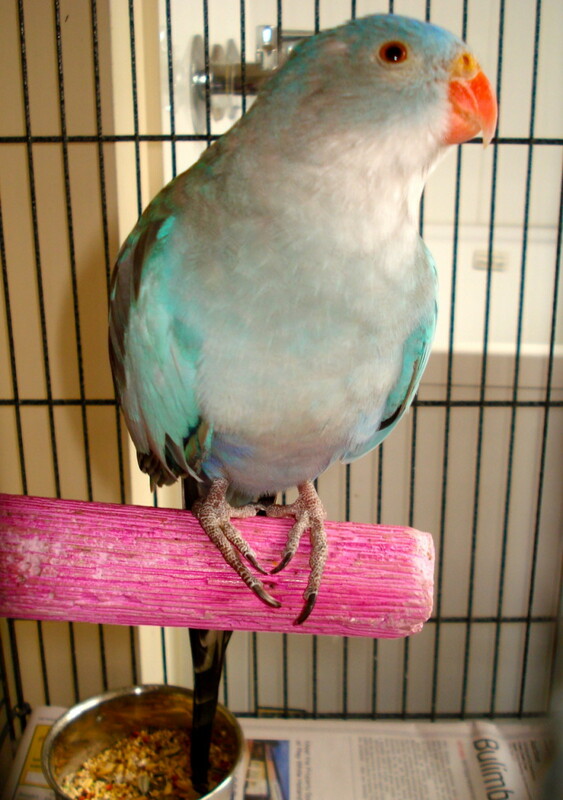 This is a list of pet birds that don't live long, along with basic information about them. 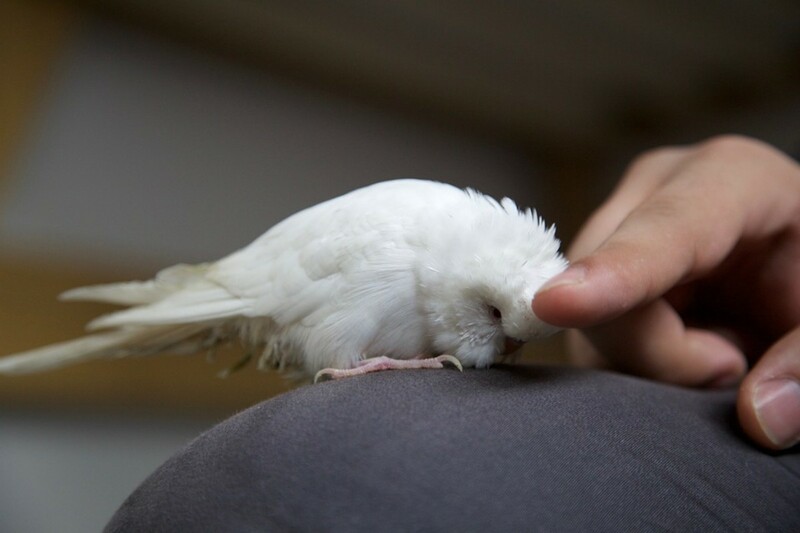 While not as common as cats and dogs, birds are popular pets. 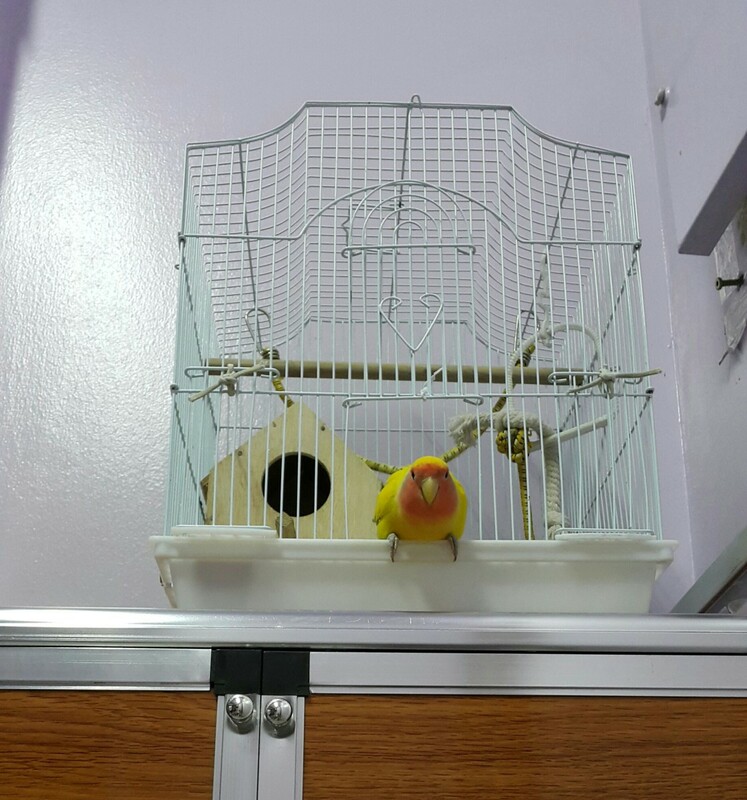 However, some people believe keeping caged birds is cruel, even if the birds are well-cared for and are allowed plenty of time outside of the cage. 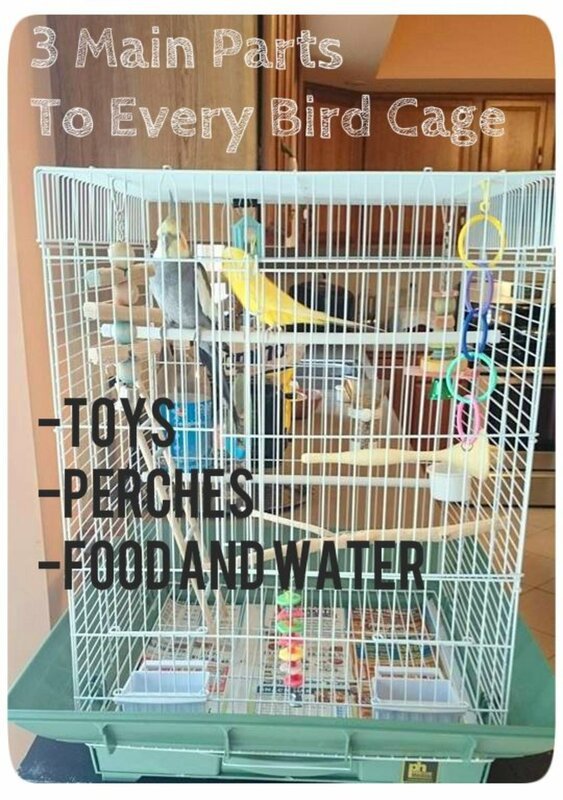 Here's a bird owner's point of view on the topic.